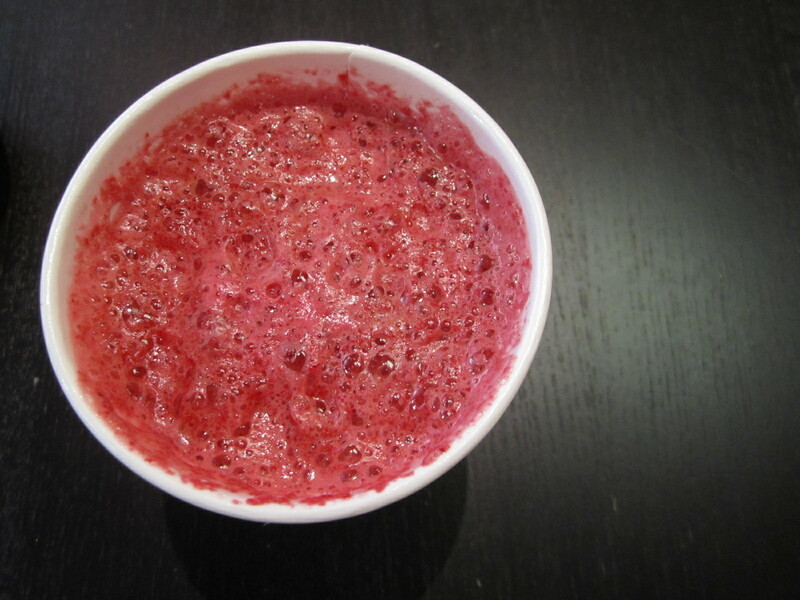 Yesterday morning I tried something new – my Magic Bullet!!! I found one at Target after hearing rave reviews at the Bridal Shower I attended on Saturday afternoon. I have so many problems with my blender that I knew this would be perfect for my morning smoothies, and for travelling since it is very compact! 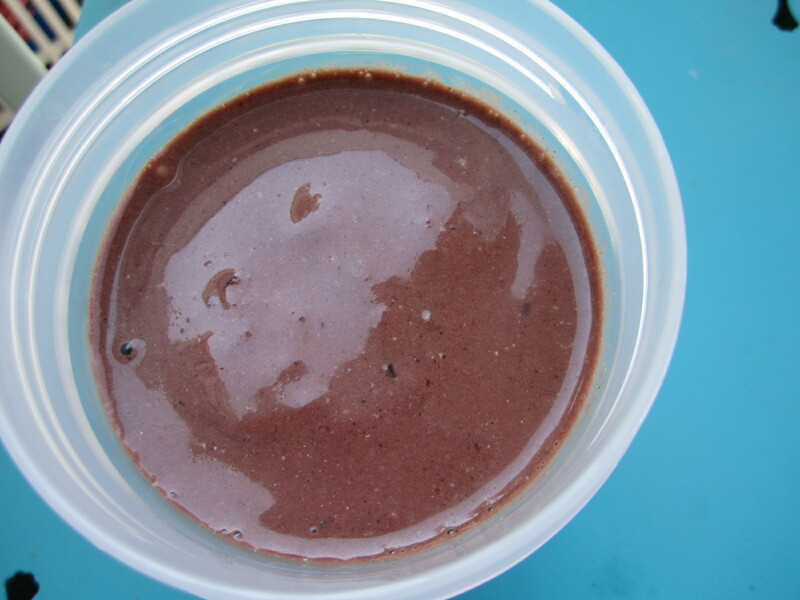 This morning, I made an old favorite to see how the Bullet compared to my Cuisinart blender. It was awesome! I whipped up a Chocolate Cherry Bomb Smoothie is no time. 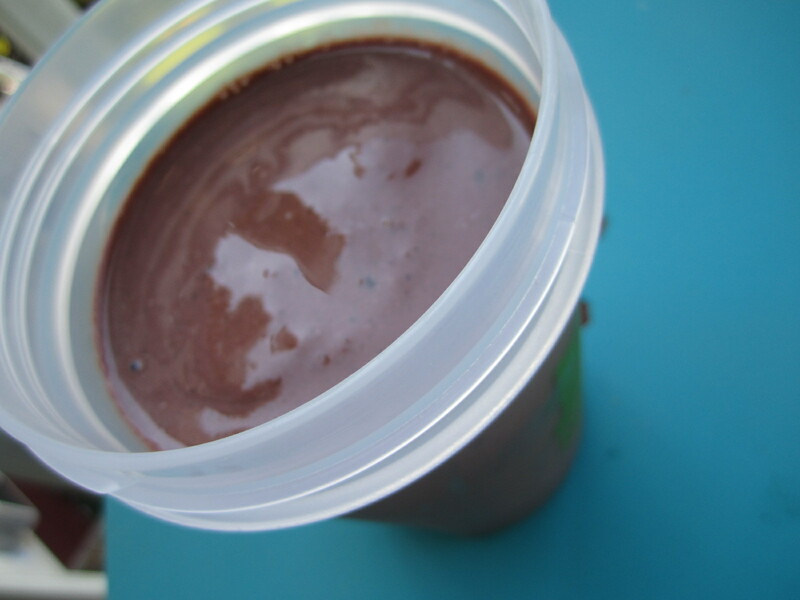 Well, it took a good minute to mix it up (the bullet advertises that it will make smoothies in 10 seconds), but my smoothie contained frozen banana and frozen cherries and it cut those down in no time! 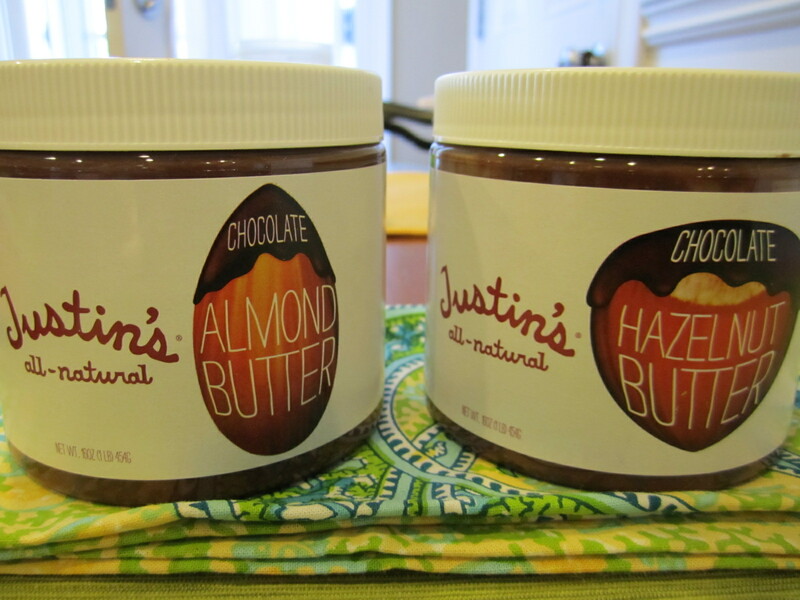 Yes, you read right – Chocolate Almond Butter & Chocolate Hazelnut Butter! 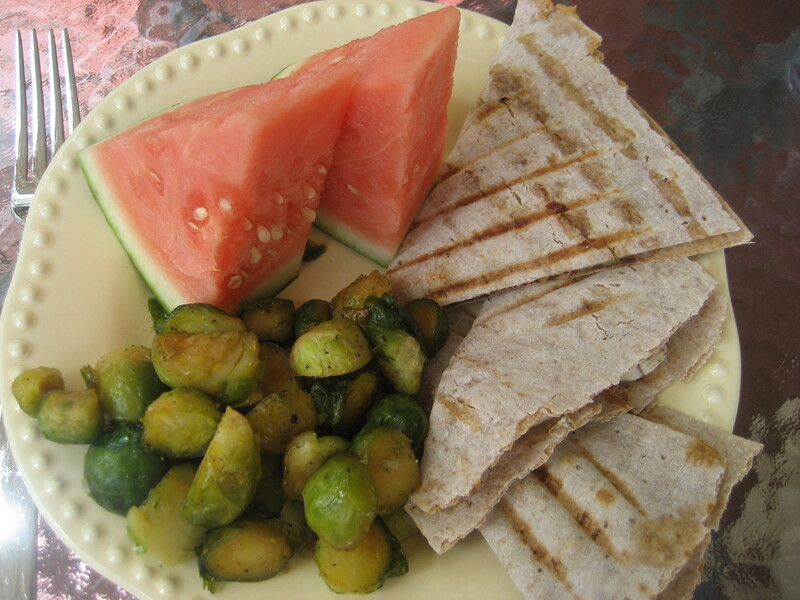 I had to try them out, so I spread them each on 1/2 of a whole wheat pita. This was a great breakfast. 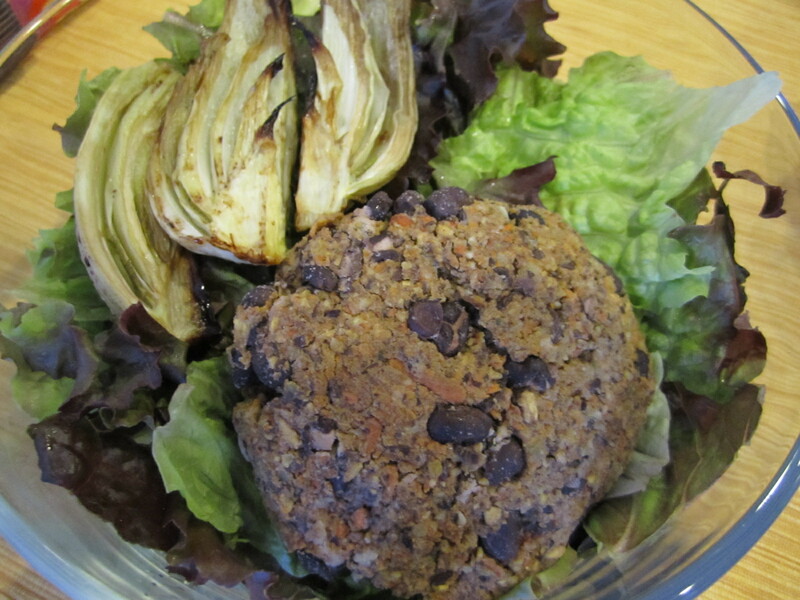 And, for lunch – another Black Bean Burger (these are really, really good!) over lettuce with Roasted Fennel! 1. 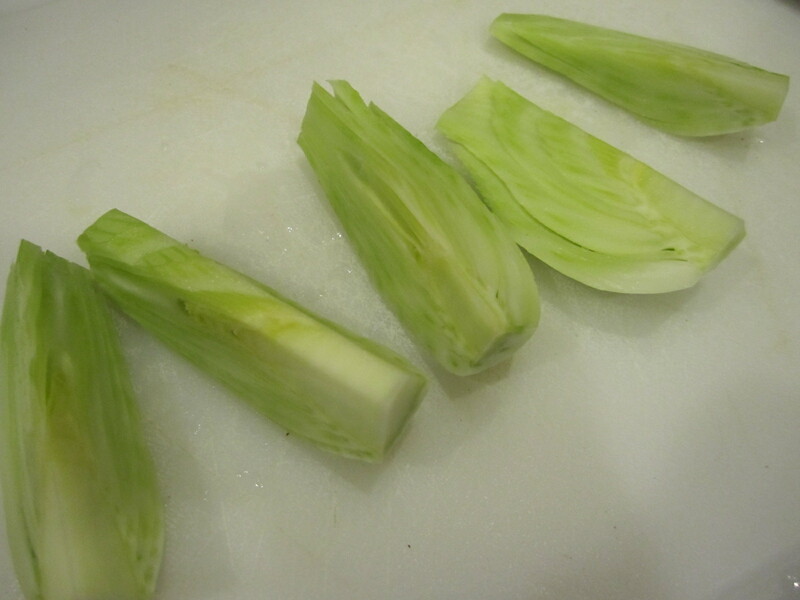 Cut the long stalks off of the fennel so that you are left with the bulb, then slice the bulb into sections. 2. Place the chopped fennel bulbs onto a baking sheet and brush with olive oil, just until coated. 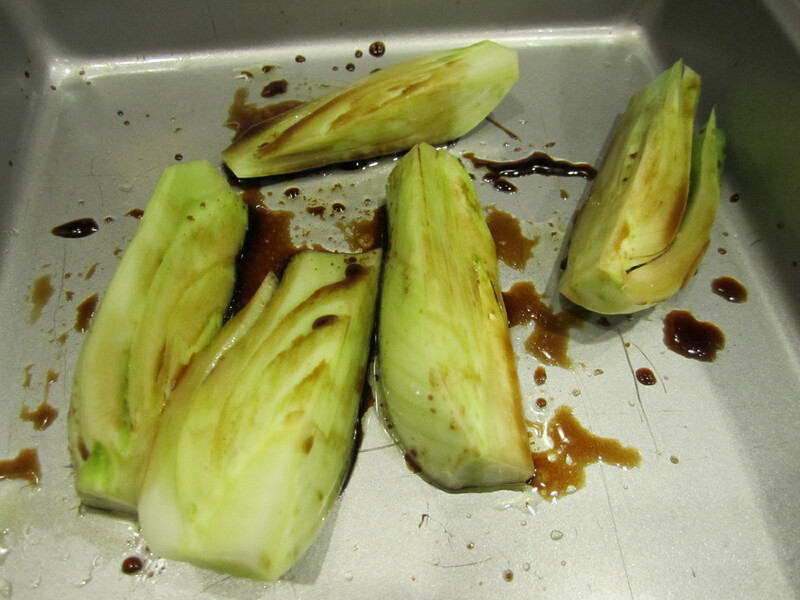 Then, drizzle with balsamic. 3. Bake in the oven at 400°F for 20-25 minutes or until slightly caramelized. It comes out great! 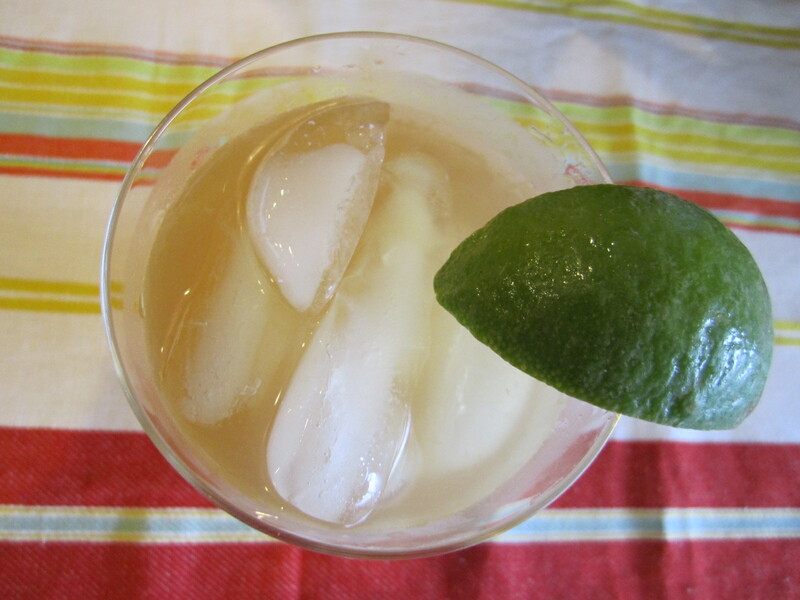 Slightly sweet and caramelized with a hint of licorice. 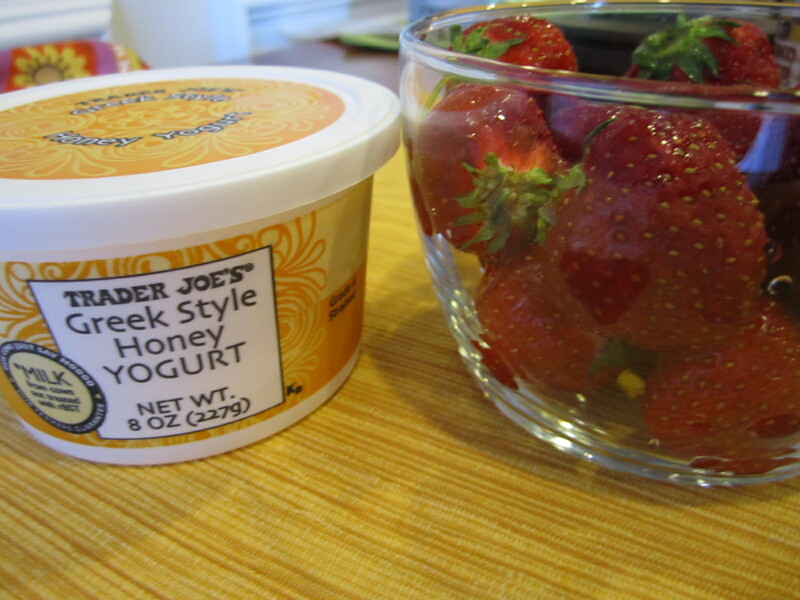 For a late afternoon snack, I had Honey Greek Yogurt with Sliced Strawberries. 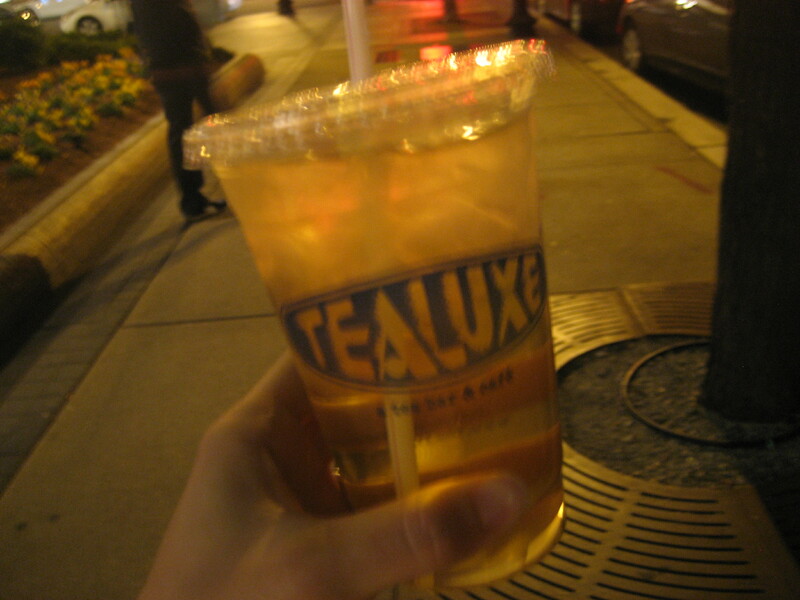 I met Emily after work for some tea at my favorite TeaLuxe! 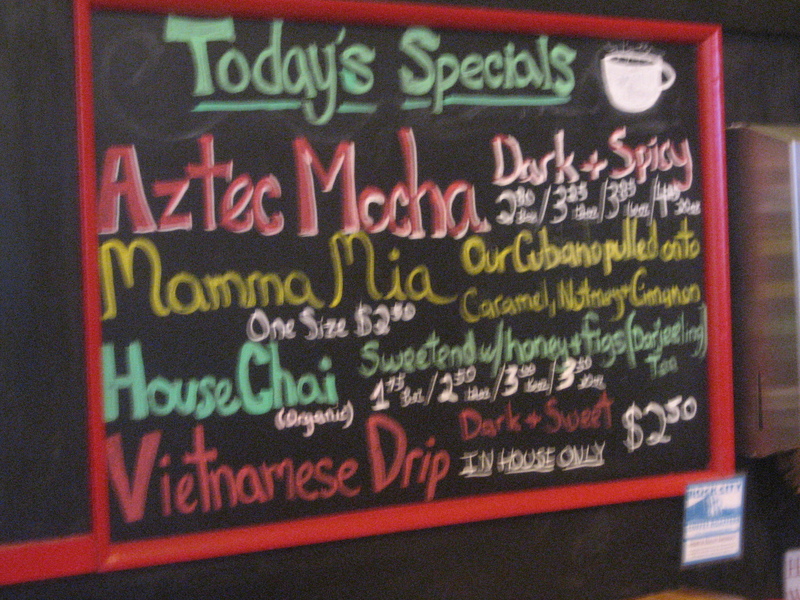 The iced flavor of the day was Chai, so of course we both go that! I was home late for dinner, so I didn’t feel like much. 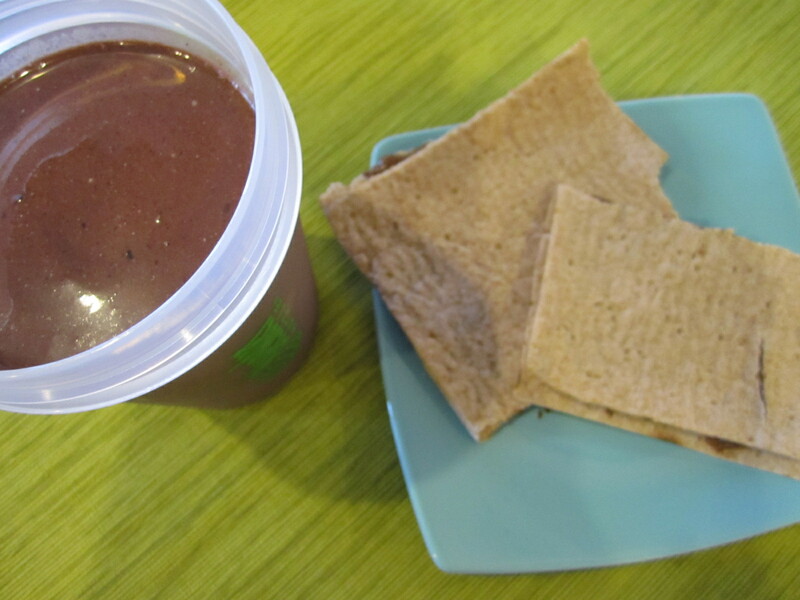 I just mixed up another smoothie – Chocolate Peanut Butter Banana and defrosted a Non-Dairy Amy’s Bean Burrito. 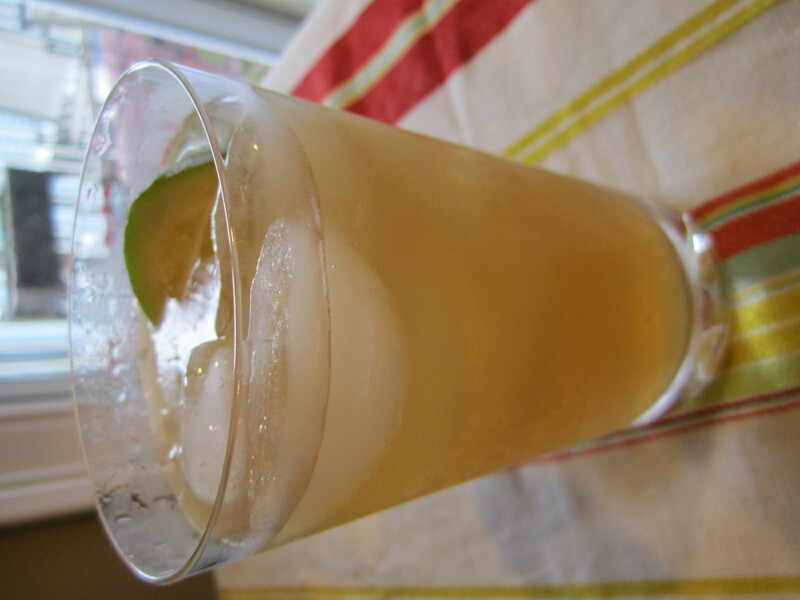 Awhile back I was in New York City and tried a Mojito Iced Tea. It was so good, that I wanted to recreate it at home. So, this morning I did just that. I boiled some water in my kettle and added it to my mint tea (I used a peppermint/spearmint mix that I purchased from a tea shop, but mint leaves would work as well!). 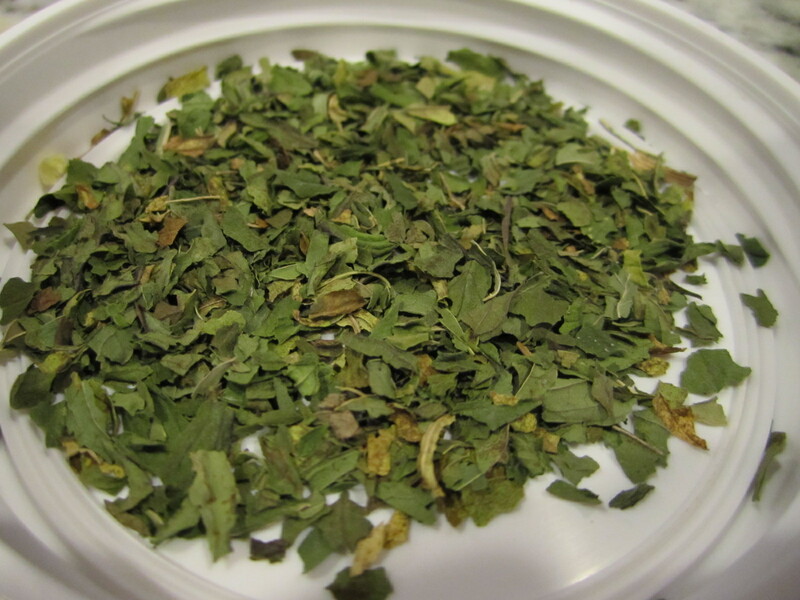 I wanted the tea to be really minty, so I added 3 tsp of tea leaves for every 1 cup of water. 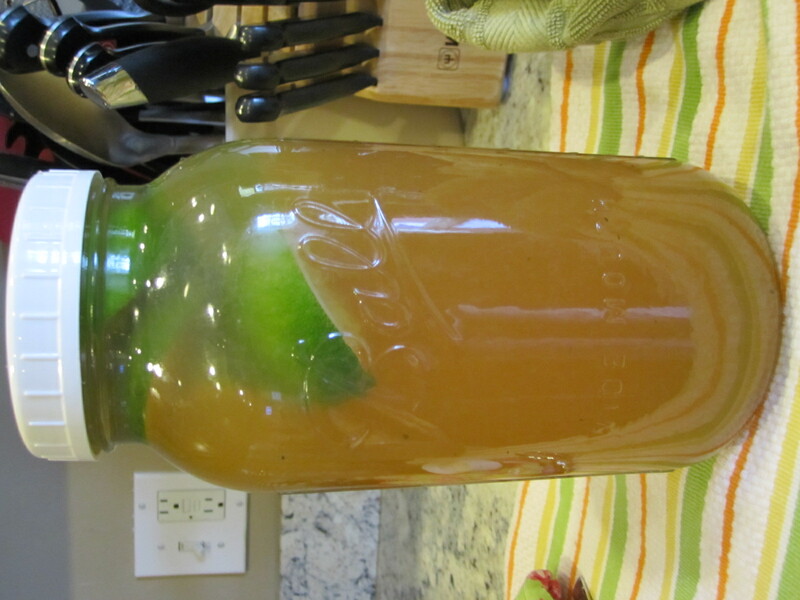 When making iced tea, you want to brew your tea twice as strong as you would hot tea. 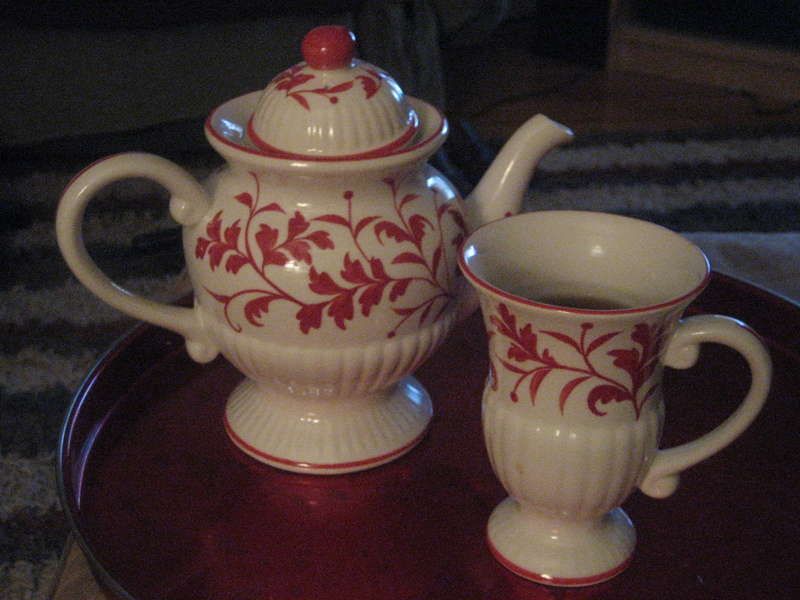 I added 9 tsp of tea leaves to my container and 3 cups of almost boiling water for brewing. I also added 4 tsp of honey for sweetness. I just wanted to add a hint of sweetness to the tea. 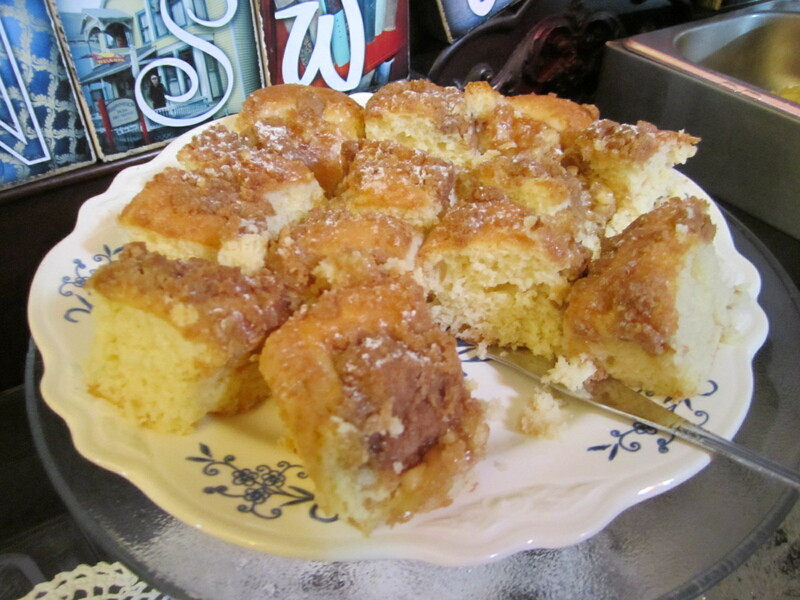 More sweetener can always be added later, but you don’t want to much! I let this sit for 7 minutes to allow enough steeping time. 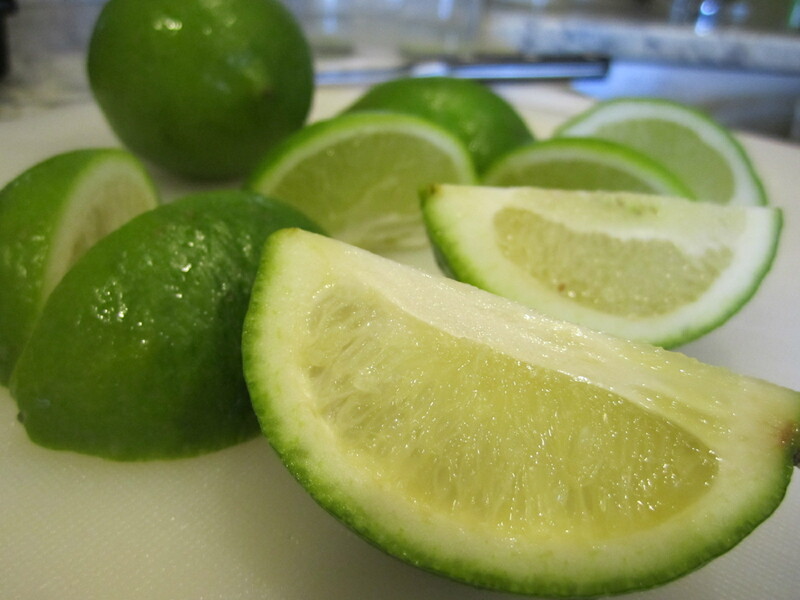 While my tea was steeping, I cut up 4 limes. I juiced 2 and left the other 2 in tact. 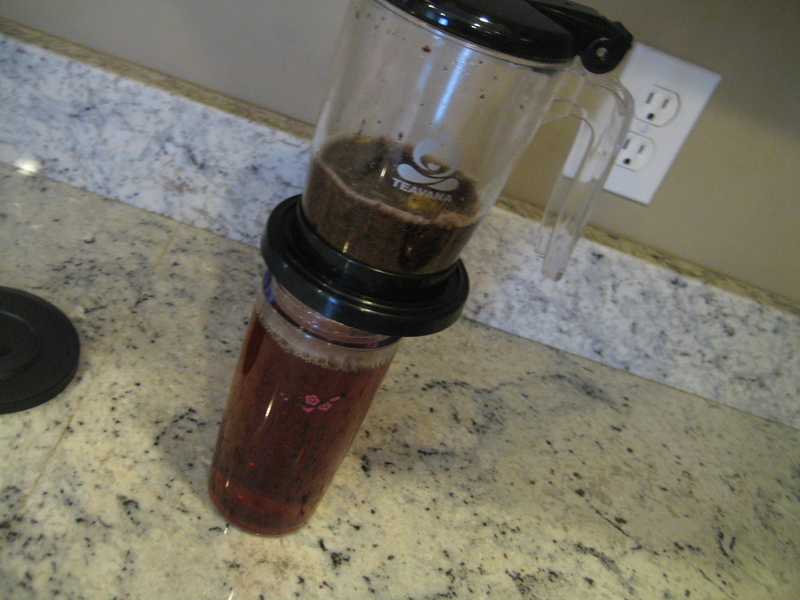 After 7 minutes, I strained the tea into another container. 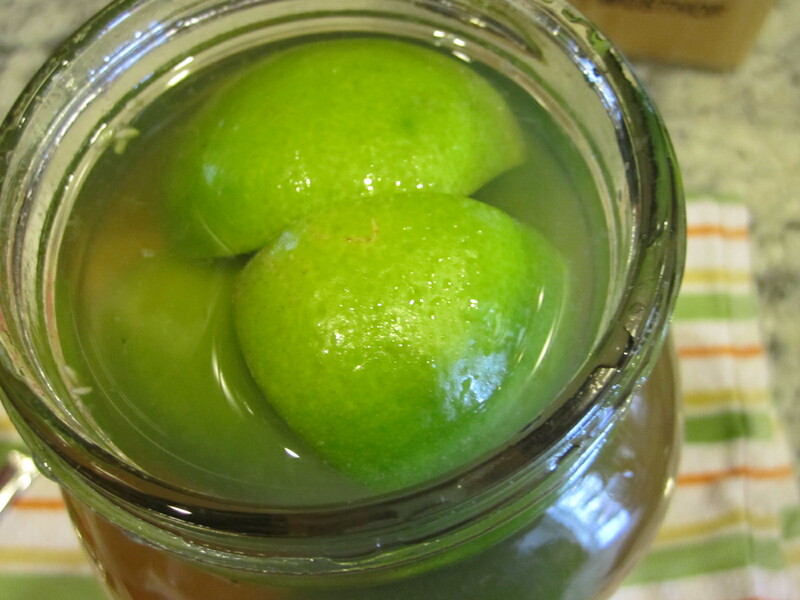 Add the limes and lime juice and fill the container to the top with freshly filtered water. 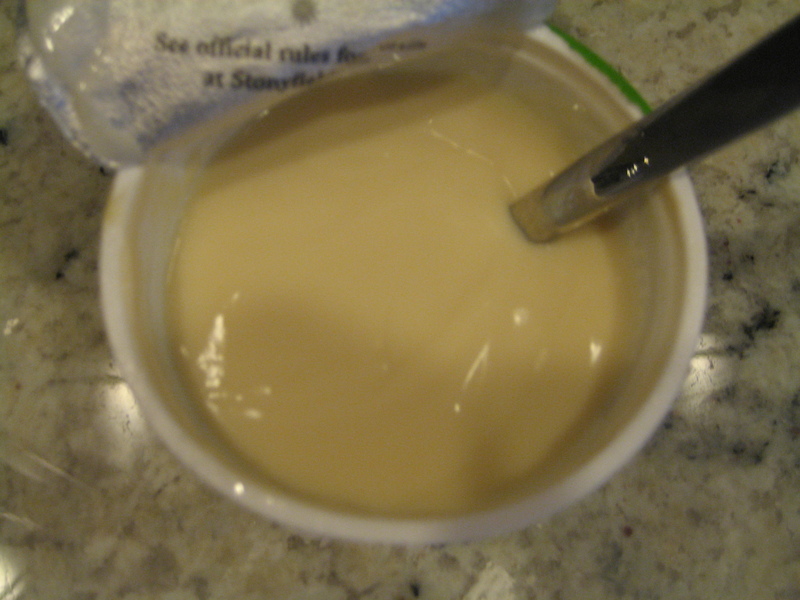 Then, serve immediately over ice, or place the container in the fridge to cool. There you have it! 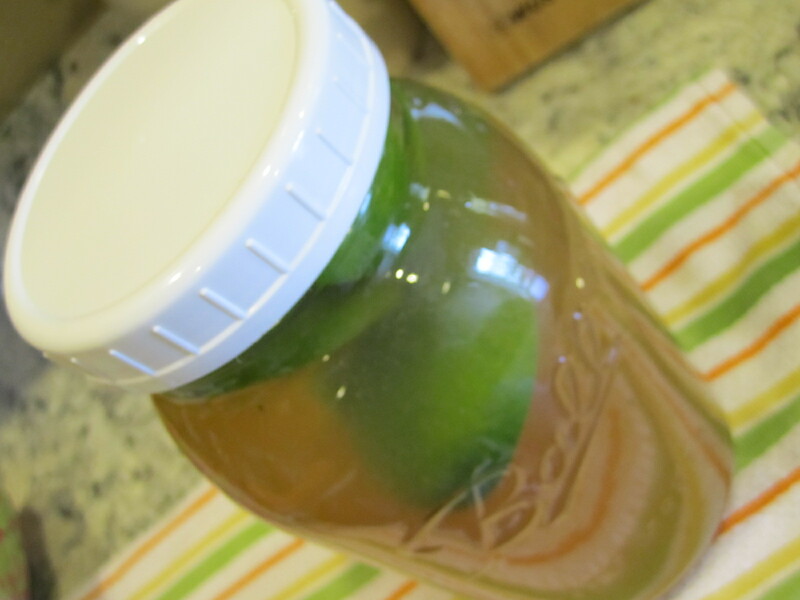 Freshly brewed mint mojito tea for a summery day. 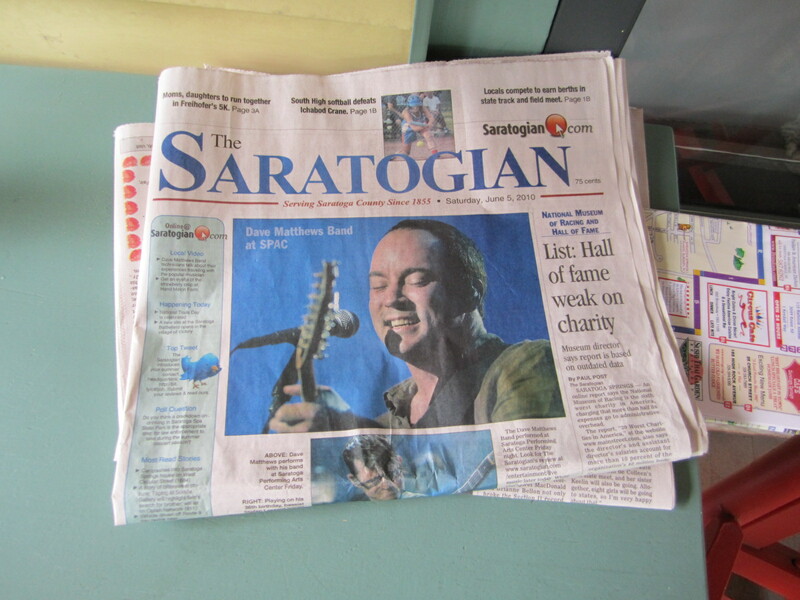 Day 2 in Saratoga we chilled and relaxed…it was perfect! 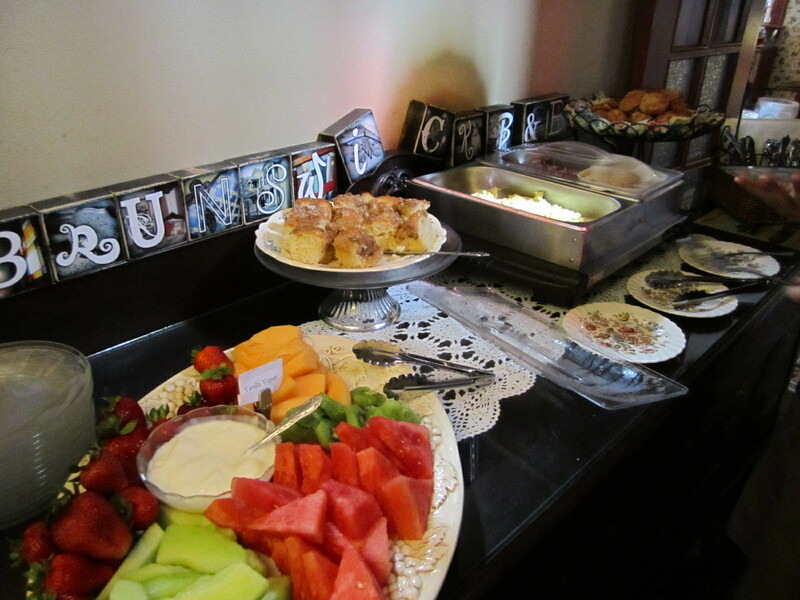 Since we are staying at a Bed & Breakfast, we started our morning with breakfast in the dining room buffet style. 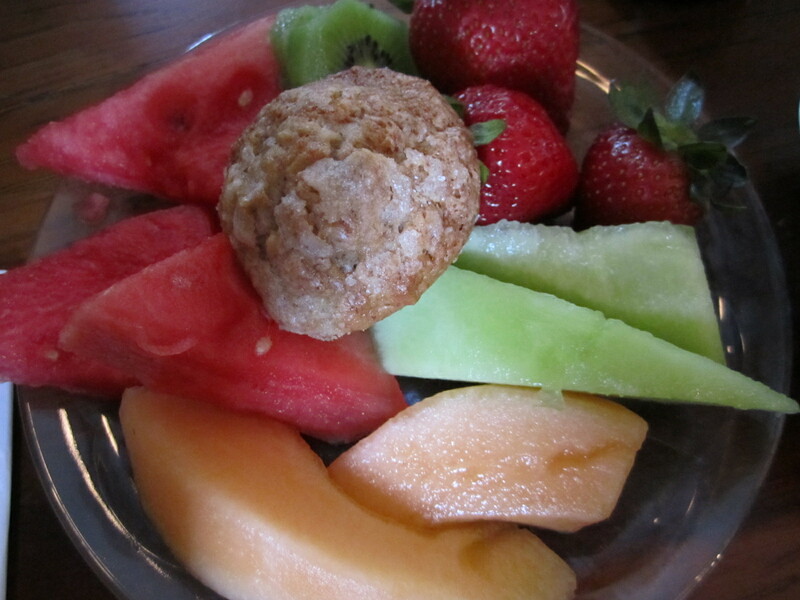 Our host had a whole spread of fruit, yogurt, granola, eggs, bacon, grits and banana nut muffins. 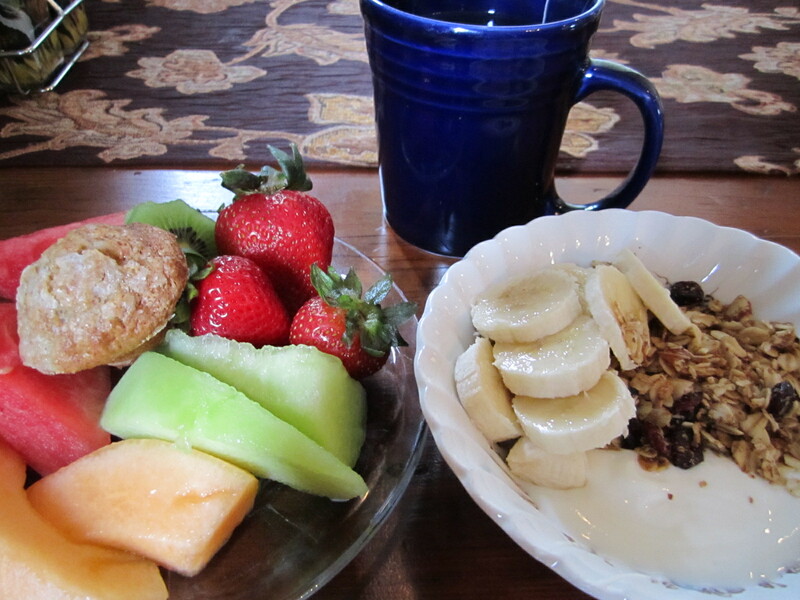 I helped myself to a big plate of fruit, a mini muffin and some yogurt, granola and banana – with tea. 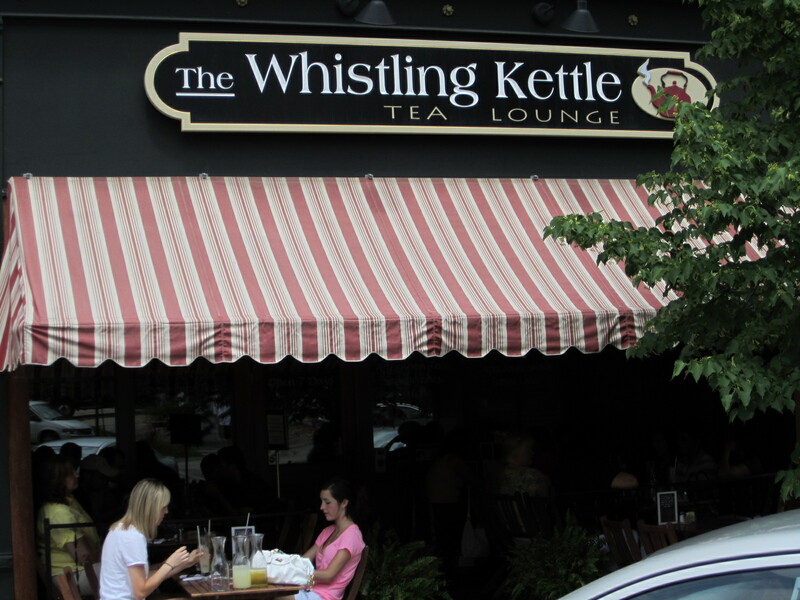 After a trip to the Farmer’s Market, we headed to Ballston Spa to hit up a Tea Shop – The Whistling Kettle. 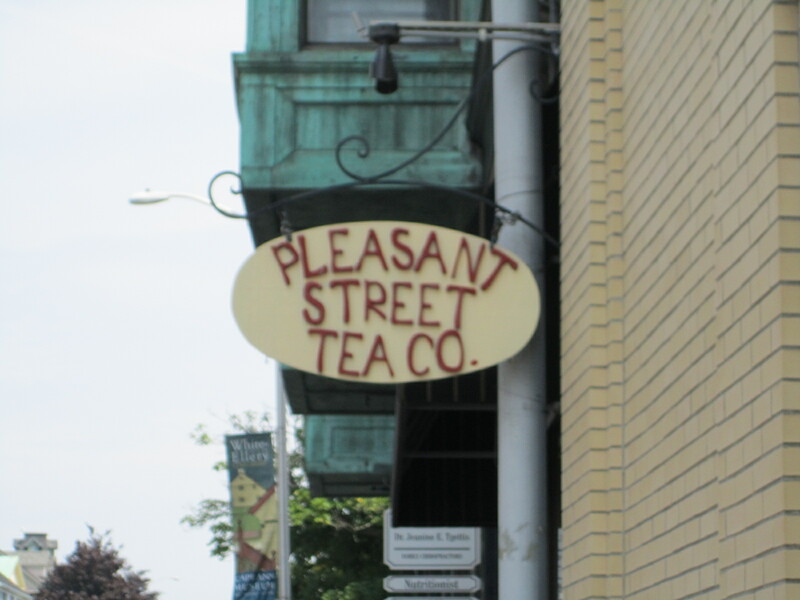 There really wasn’t much else in Ballston Spa, except for this tea shop that the whole town seems to love! 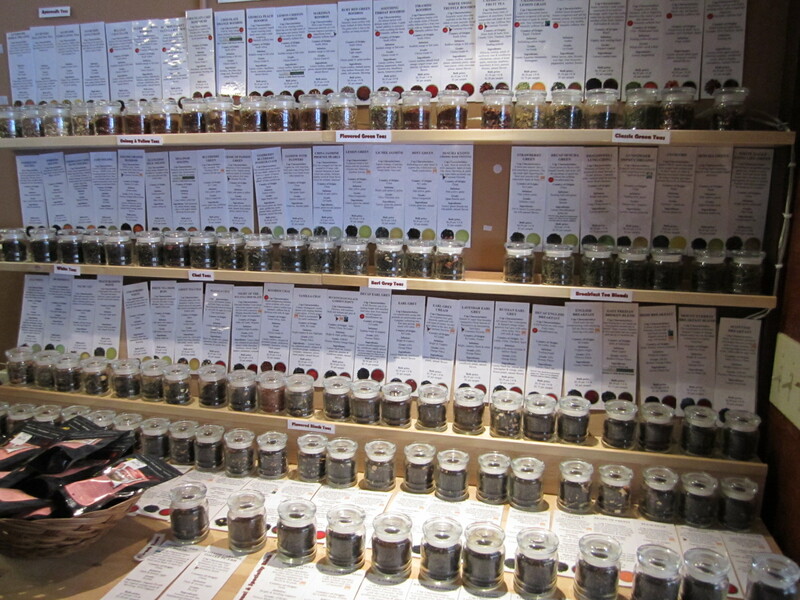 They had so many different varieties of tea – I was in heaven!! Brant went with the Arctic Raspberry iced tea. And, I went with the Angel’s Dream. 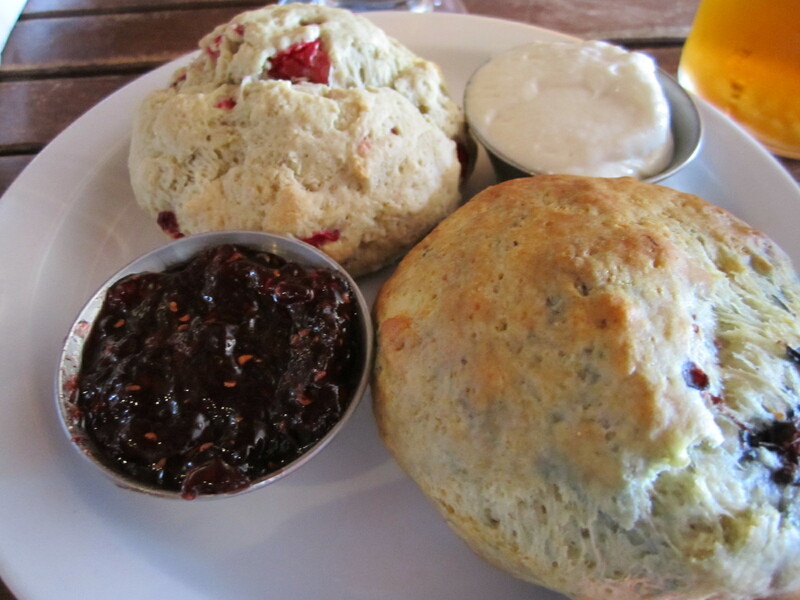 And, we split the Cream Tea which consisted of a Lemon Blueberry and an Orange Cranberry scone. Complete with clotted cream and raspberry preserves. 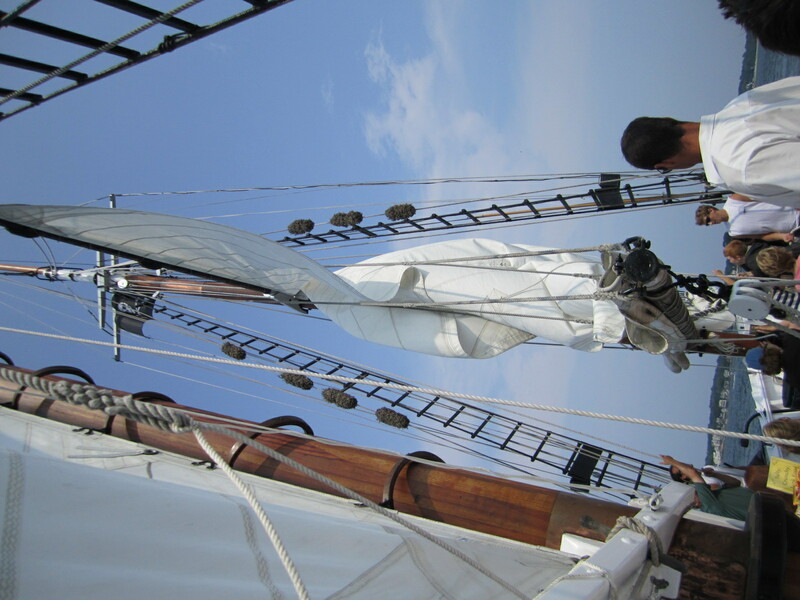 It was a great way to relax! 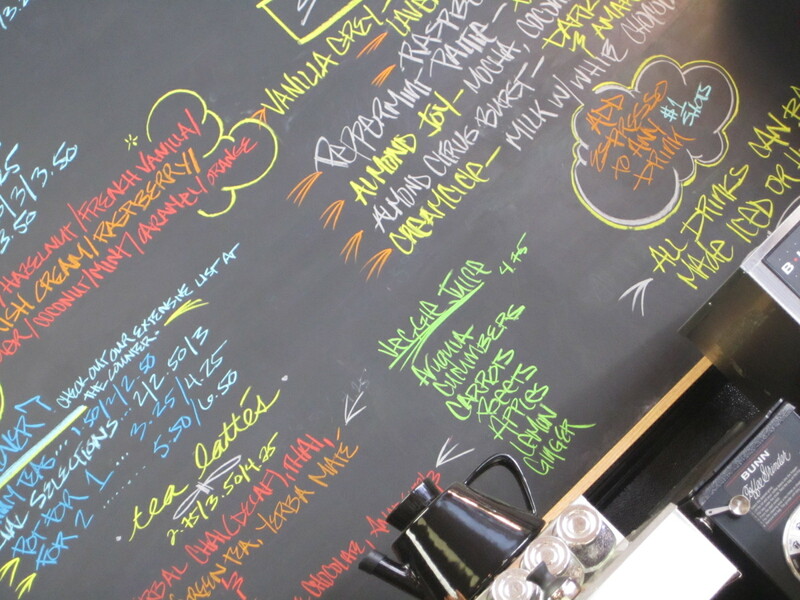 Yay for a fun tea shop! 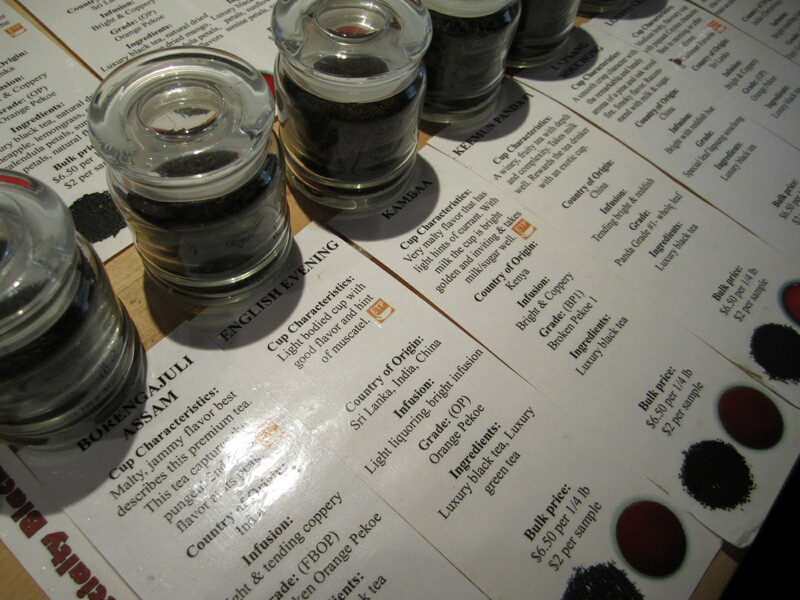 I obviously had to buy some tea for the road, so I hit up their sampling station to choose. 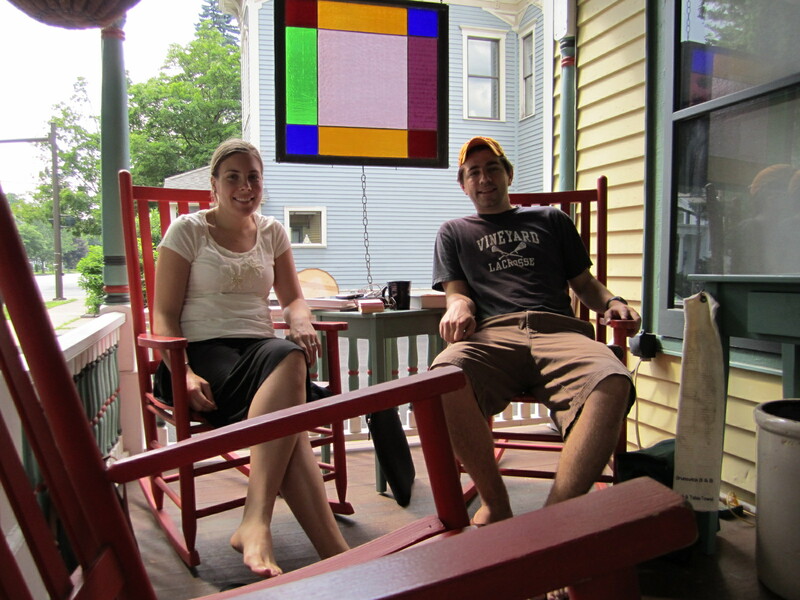 After tea, we spent the rest of the day relaxing on the porch of our B and B. Then, headed into town for dinner and DMB #2! 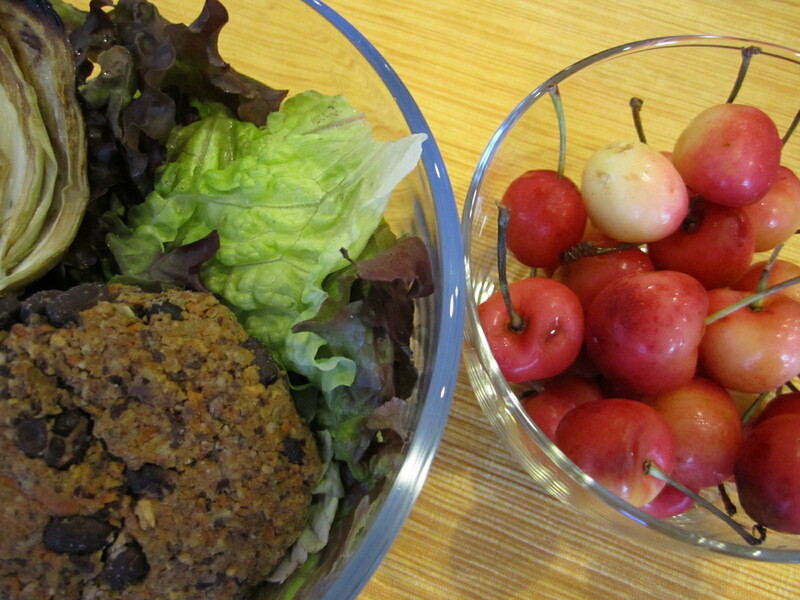 Since our lunch consisted of scones and tea, we wanted something substantial and filled with veggies for dinner. 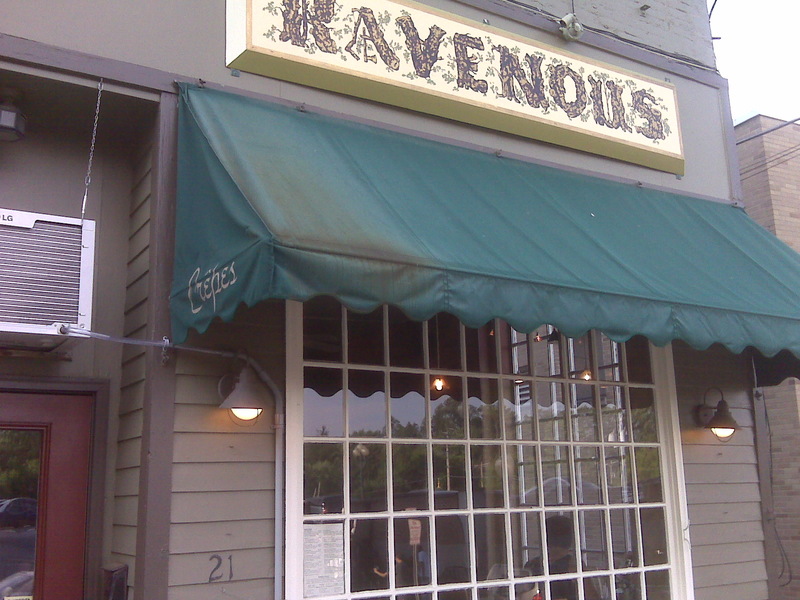 We decided to try Ravenous – a crepe shop! 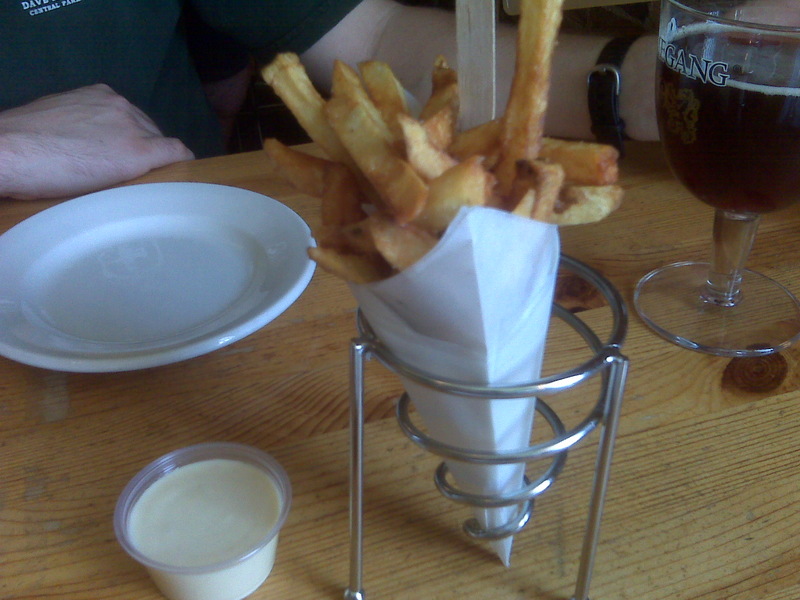 We started with a small order of their famous Pommes Frites just so we could try them. They were pretty good, but not out of this world. Each and every fry was crispy though…with honey mustard dipping sauce. 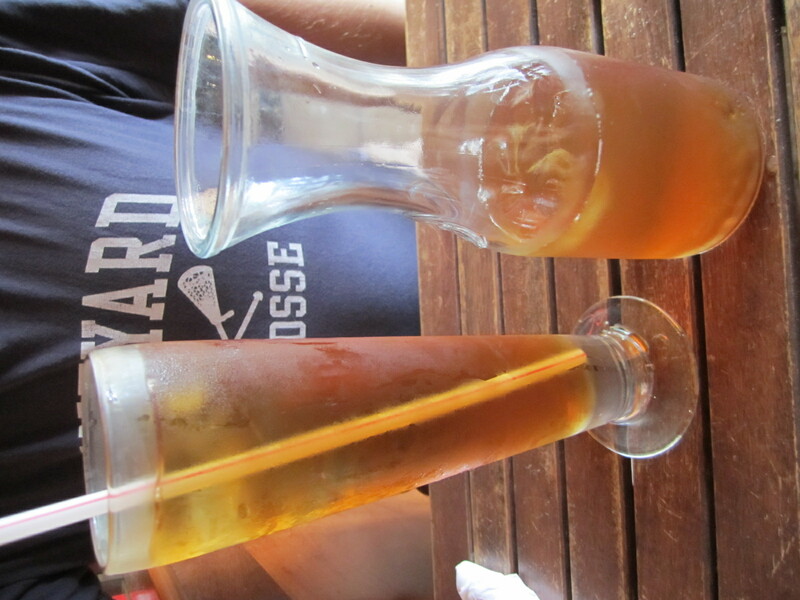 Brant started with a beer, and I sipped on their homemade Mint Iced Tea made with green tea, mint leaves and honey. YUM! 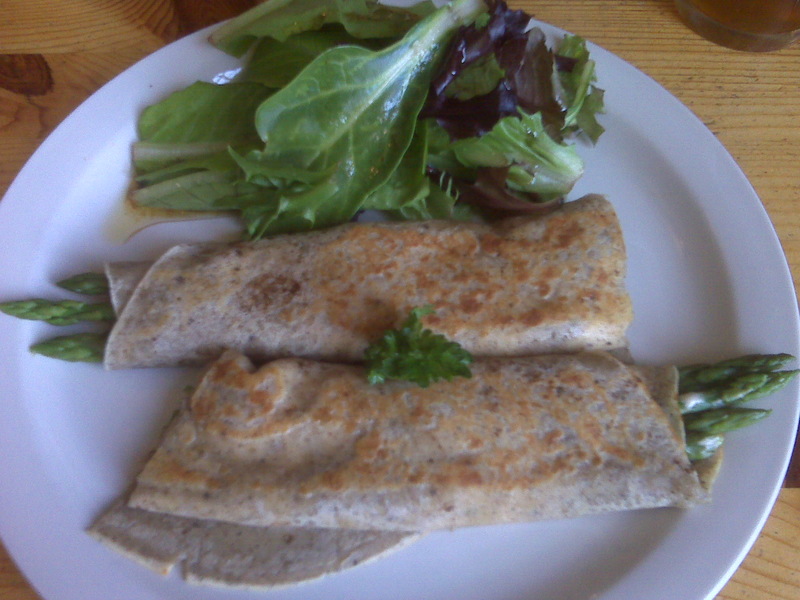 And I ordered the La Sorbonne crepe filled with goat cheese, asparagus and sun dried tomatoes. Served with a side salad. Oh my goodness, this crepe was amazing! 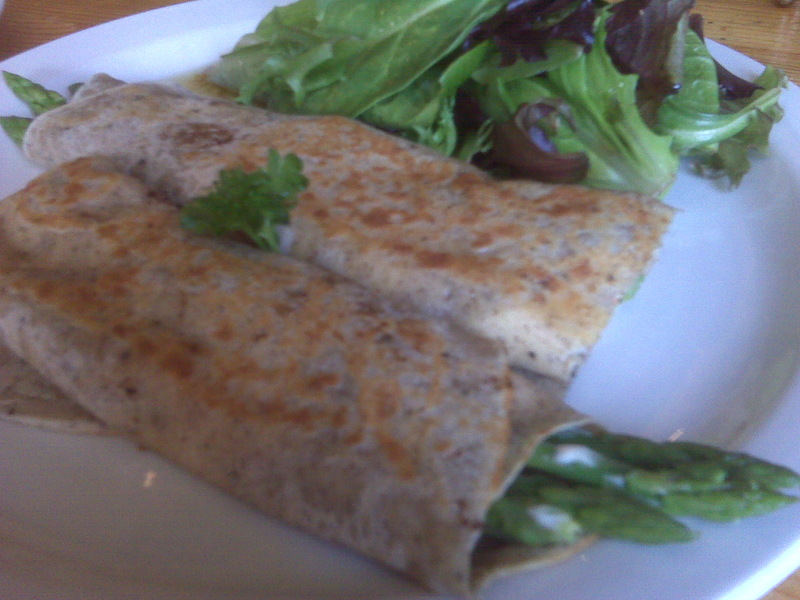 The crepe itself was thin and the perfect texture. It had to have been seasoned with spices of something. Their was plenty of goat cheese, asparagus and sun-dried tomatoes in every bite. We both loved these. 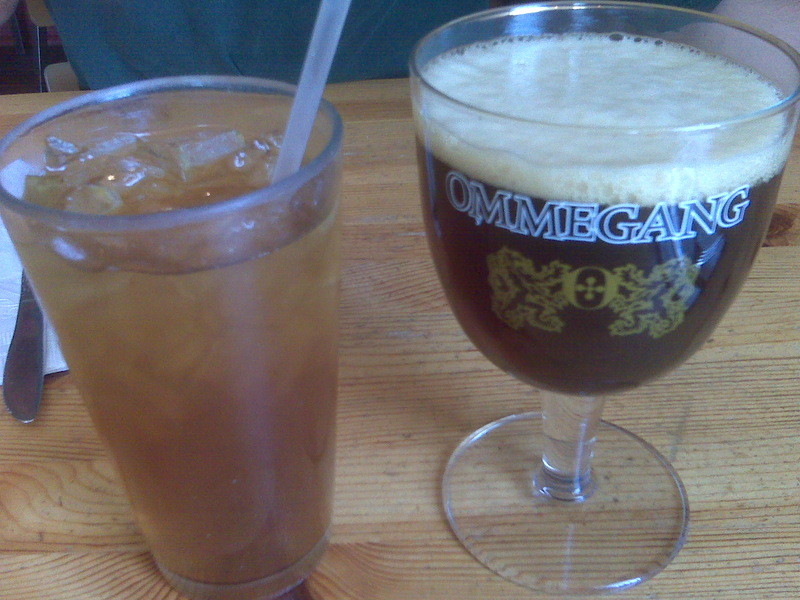 We gobbled them up and headed out for out 2.5 mile walk into SPAC again. 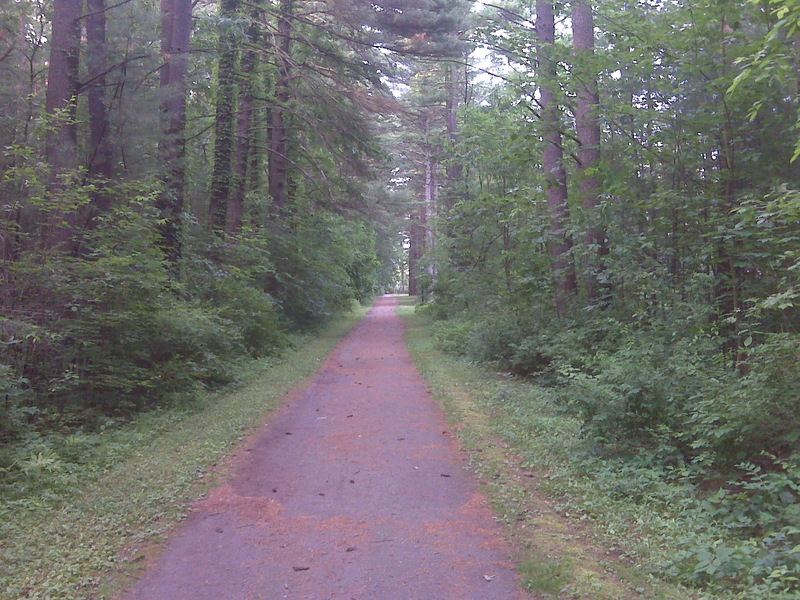 The walk is gorgeous through the woods. 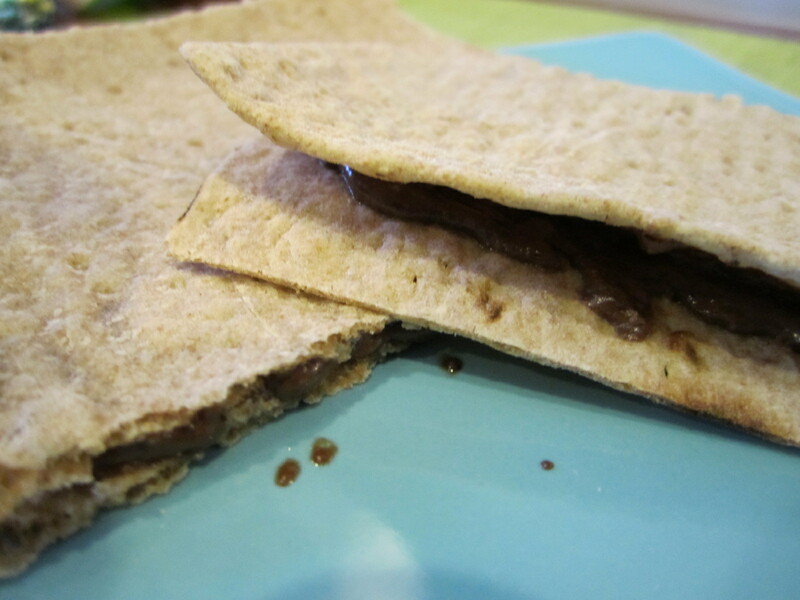 I made up another Peanut Butter & Banana Quesadilla because it was so delicious yesterday. 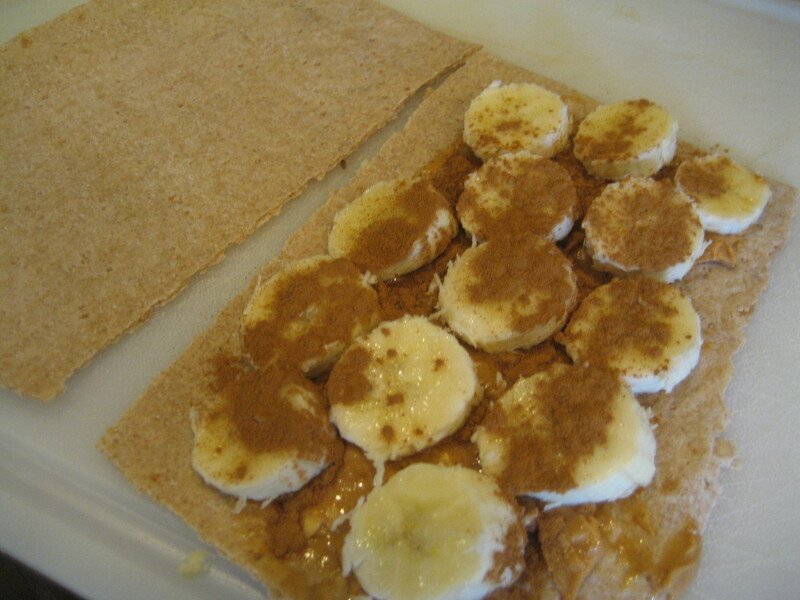 A spread of PB, a sliced up banana and a shake of cinnamon all grilled to perfection. I felt like I needed something green on my plate, but all I had was frozen veggies. So, I sauteed up some frozen brussels sprouts with salt, pepper and maple syrup. 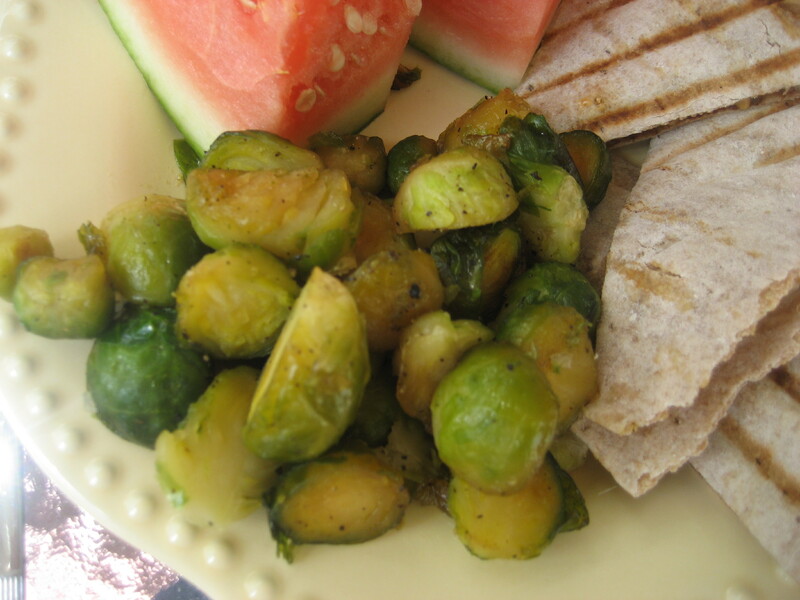 I decided that even though I ate these, I will never buy frozen brussels sprouts again. They defrost and get super mushy!! Totally not worth it. They did satisfy my ‘green’ craving though. 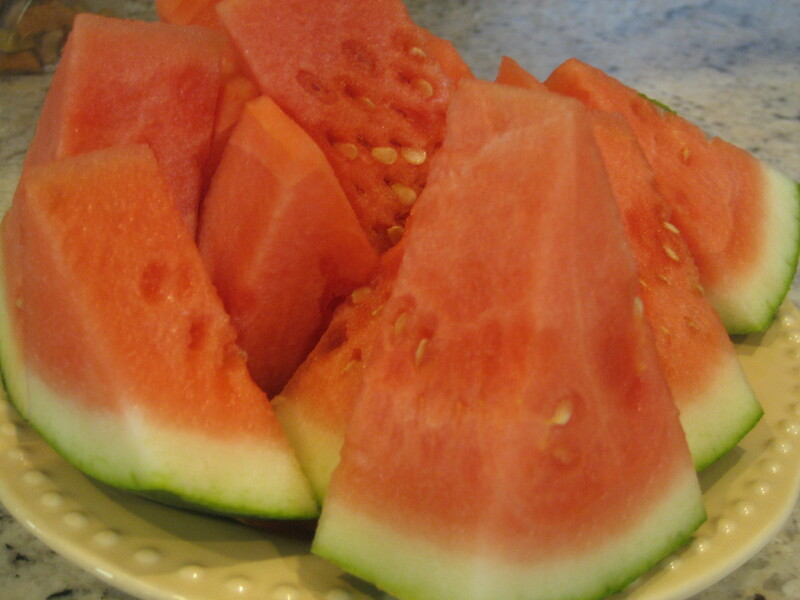 I also cut up some watermelon! 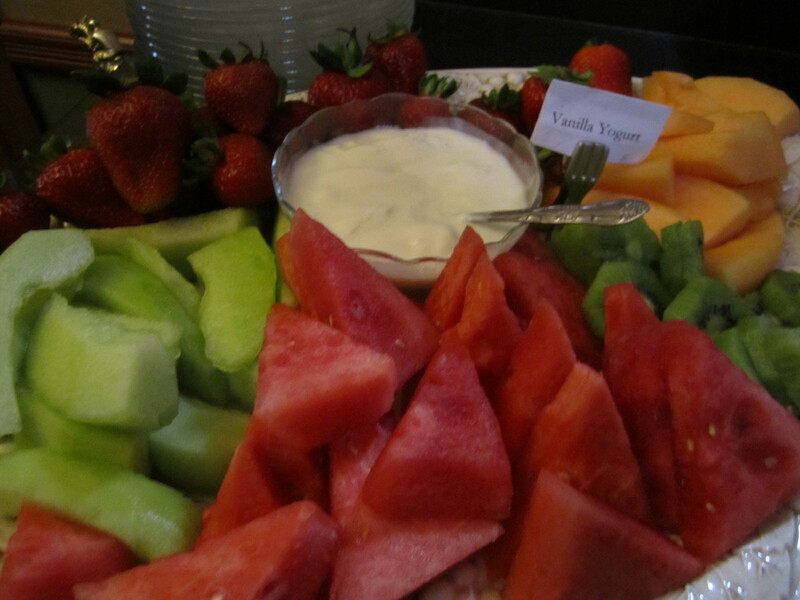 Mmmmm…I love spring and summer fruits! I also love eating colorful meals. Color means more variety which leads to more nutrients for your body! Dinner was GREEK! I love how simple Greek/Mediterranean food is. 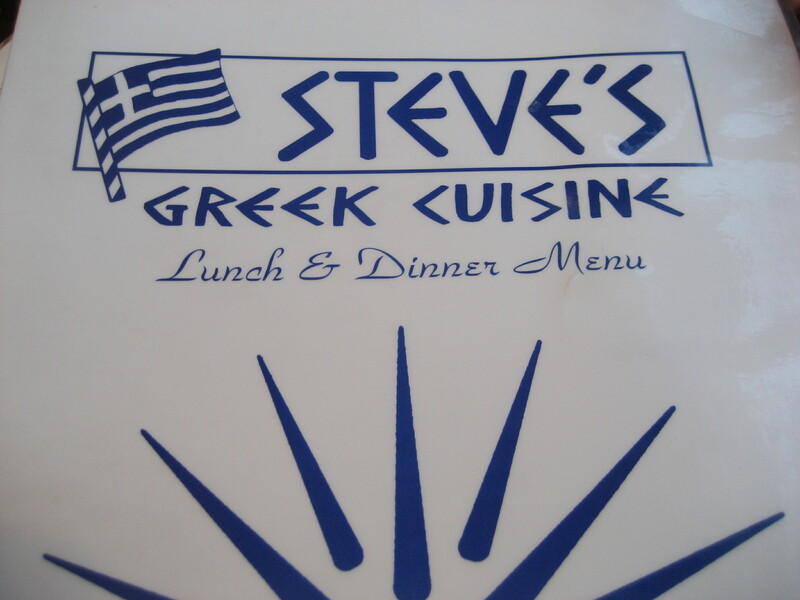 We dined at Steve’s, an upscale Greek diner on Newbury St. 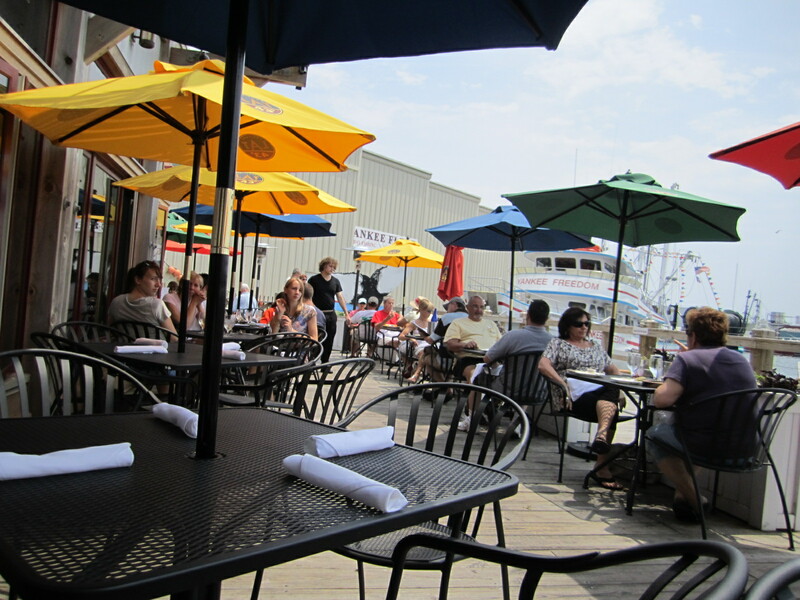 They have a huge variety of all of the typical Greek food, along with other things to please everyone, including burgers and fries. We went to Greece for our honeymoon and ever since then it has been my absolute favorite. 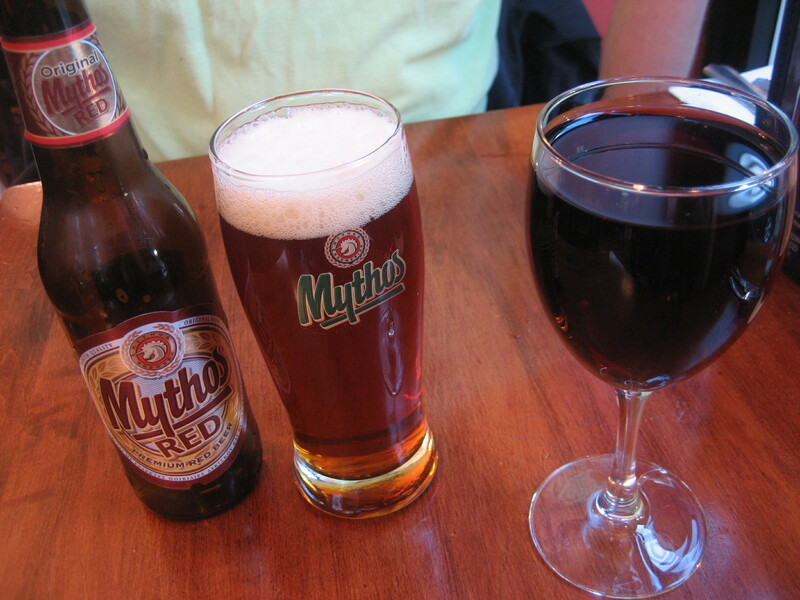 House Red and Mythos Red. I find that they house red at most greek places is surprisingly good! 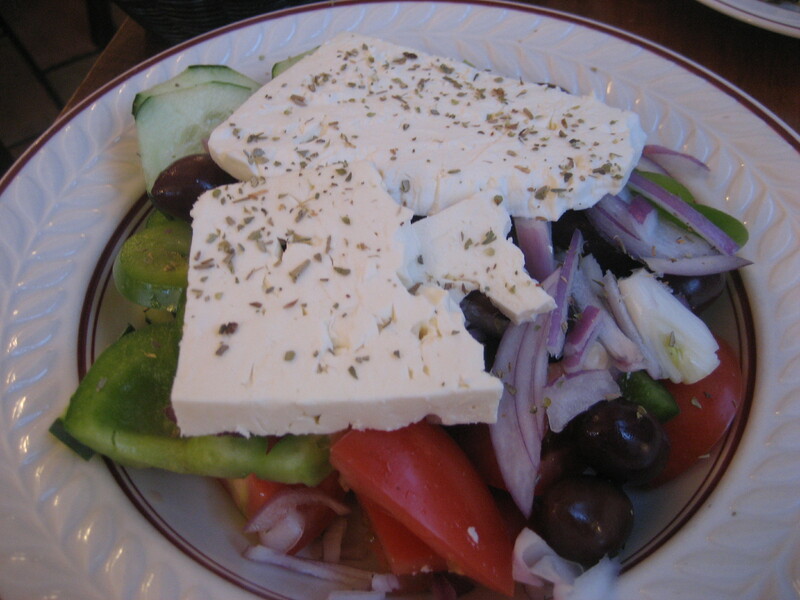 I was craving veggies for dinner, which is why we went with Greek! 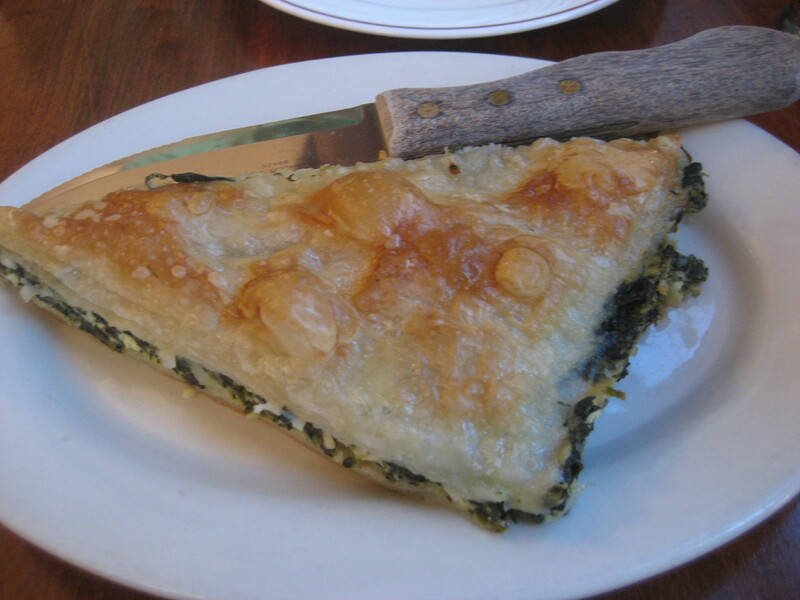 We started with the spanikopita and the village salad (which is what you will be served in Greece if you order a greek salad). Big chunks of tomatoes, cucumbers, green pepper, red onion, kalamata olives and feta sprinkled with oregano and olive oil! Best salad ever. Seriously. I ate a small piece of spinach pie and about 1/2 the salad. 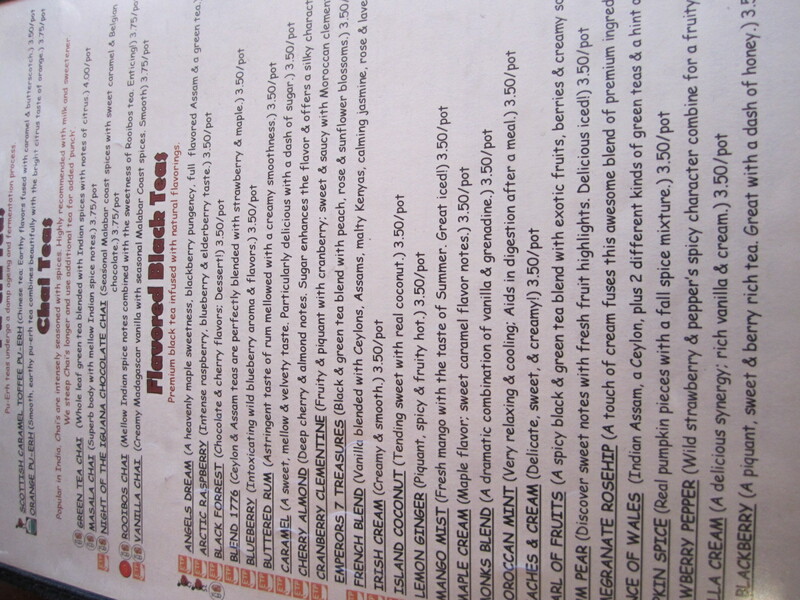 For my entree, I ordered the Sampler Plate. My favorite meal ever! So fresh and so simple. 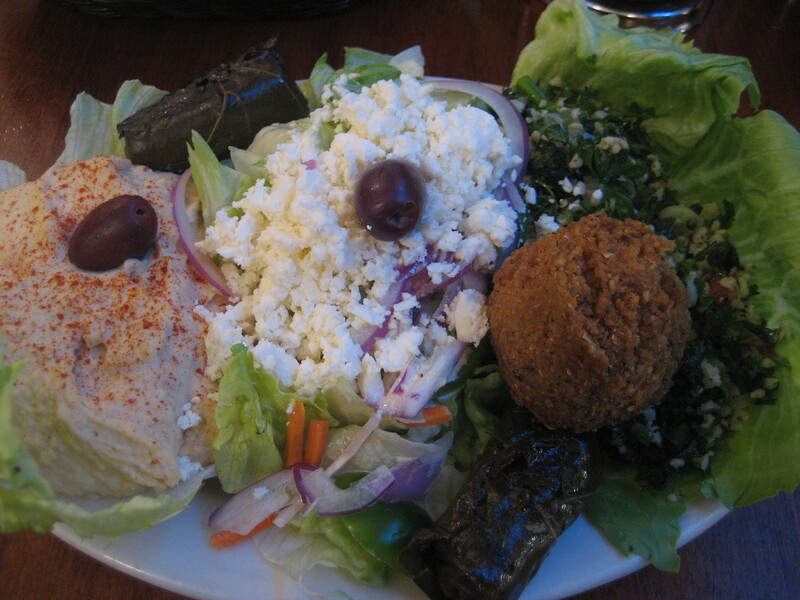 Hummus, Tabbouleh, Greek salad (American style), 2 veggie dolmadas (grape leaves) and a falafel. 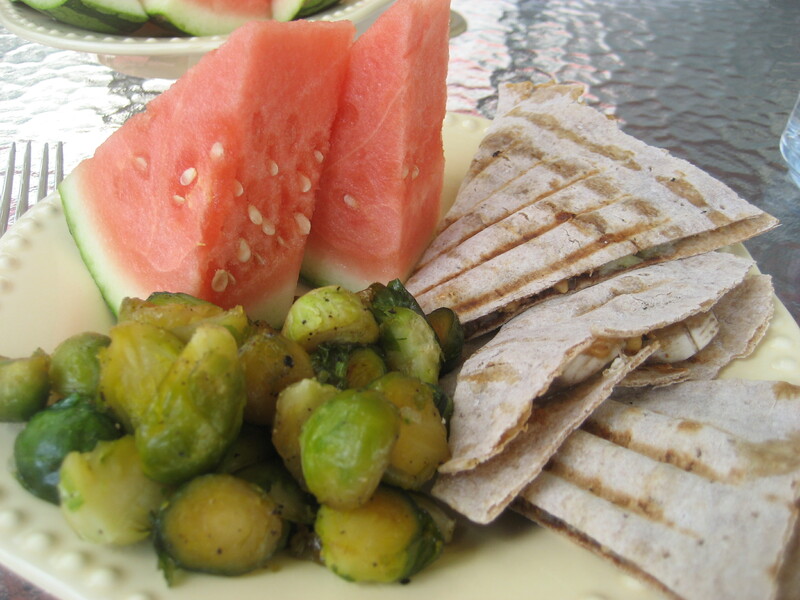 Served with warm pita. I could barely finish half of this! Luckily, I took the leftovers home. 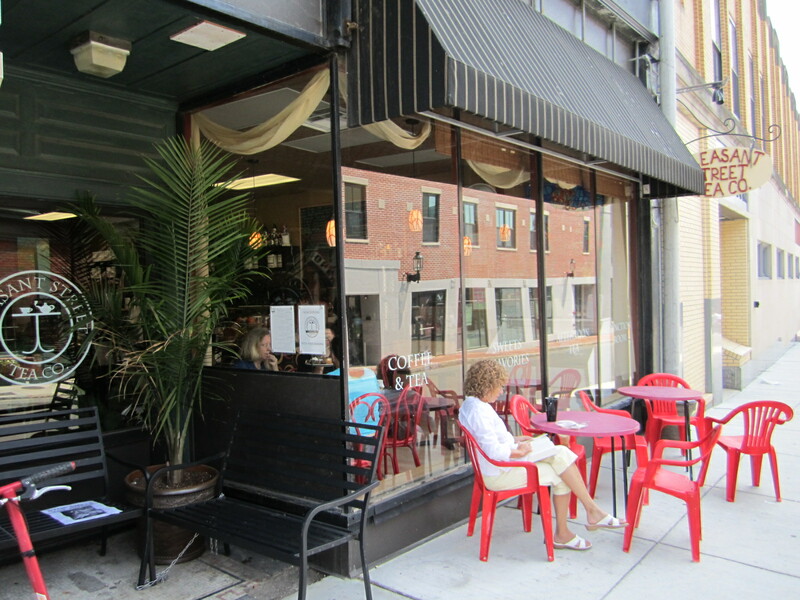 After dinner, we strolled down Newbury and popped into Tealuxe for a Royal Coconut Iced Tea (coconut pouchong green tea). Sorry for no post yesterday! 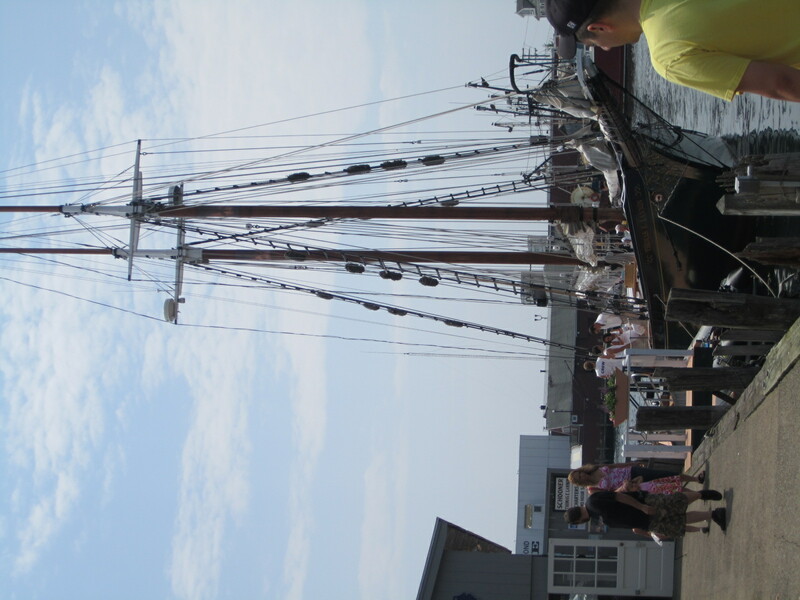 It was super late by the time we arrived home from Maine and all I wanted to do was jump in my bed. 🙂 I want my hour back! I started the day yesterday with an 8 mile run. I only have one week to go until my Half Marathon, so I wanted to take it a little easier on my long run yesterday. 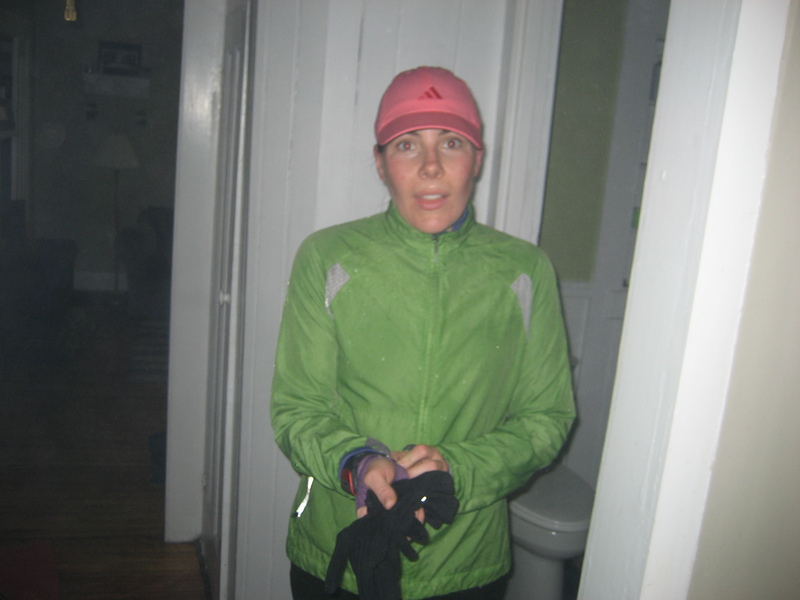 I ended up completing 8 miles in the pouring rain and wind! 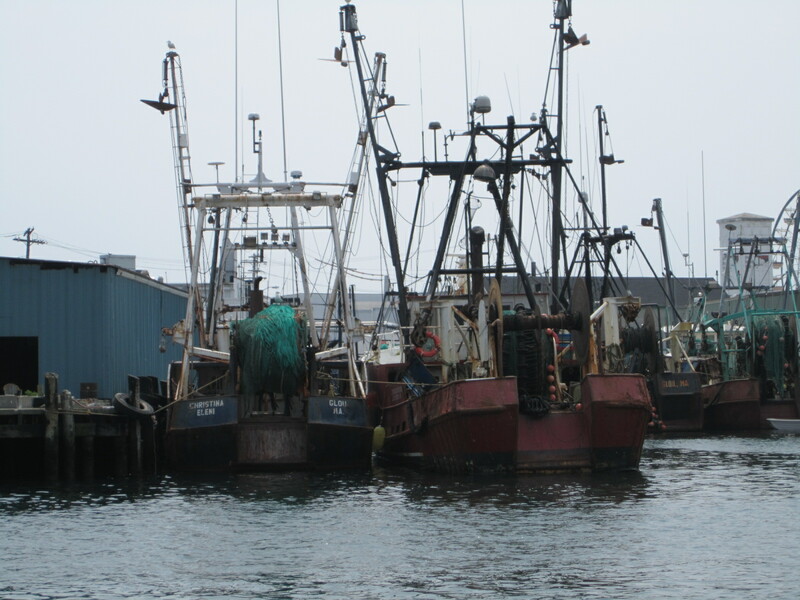 It was cold and miserable, but I felt better once it was out of the way. 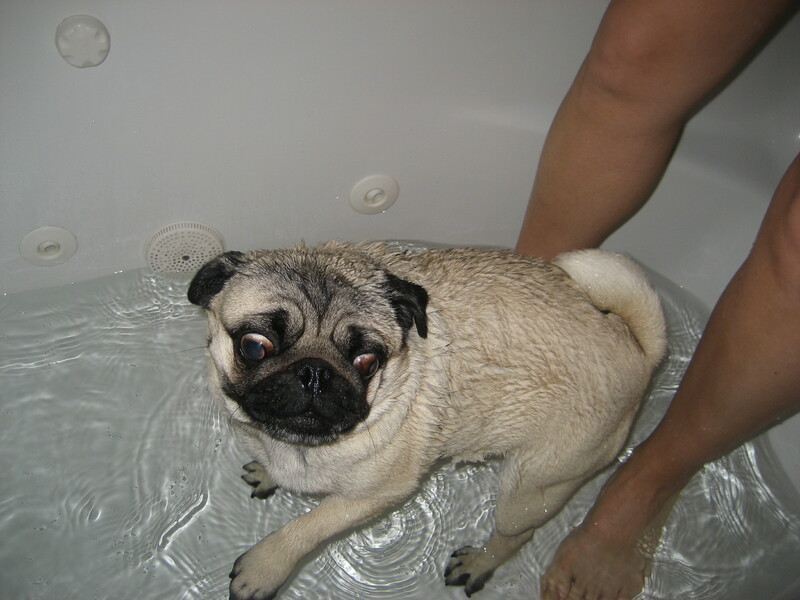 I was WET and COLD! I am going to take it easy this week and stay away from weights. I will do a few easy runs and some yoga to stretch me out! After my run, we chowed down on some breakfast. 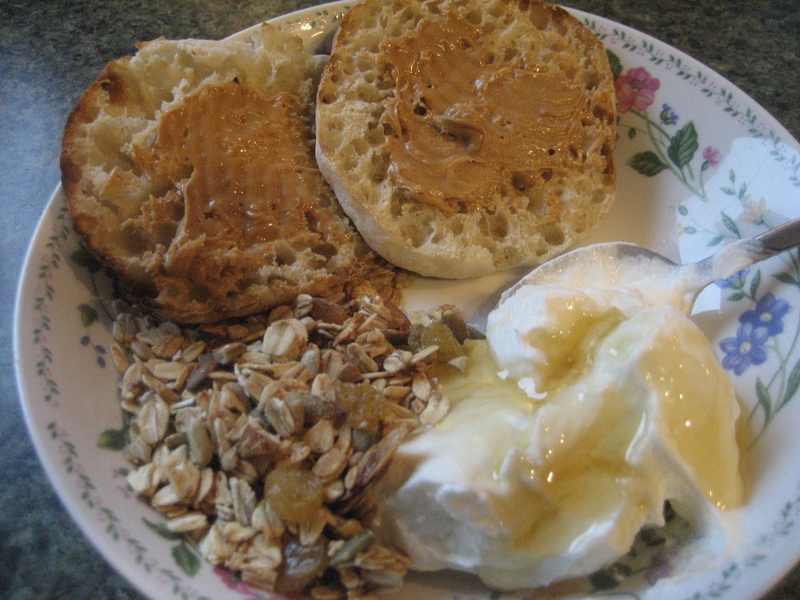 I had some greek yogurt with a drizzle of honey, granola and an english muffin with just a little peanut butter. I was famished! 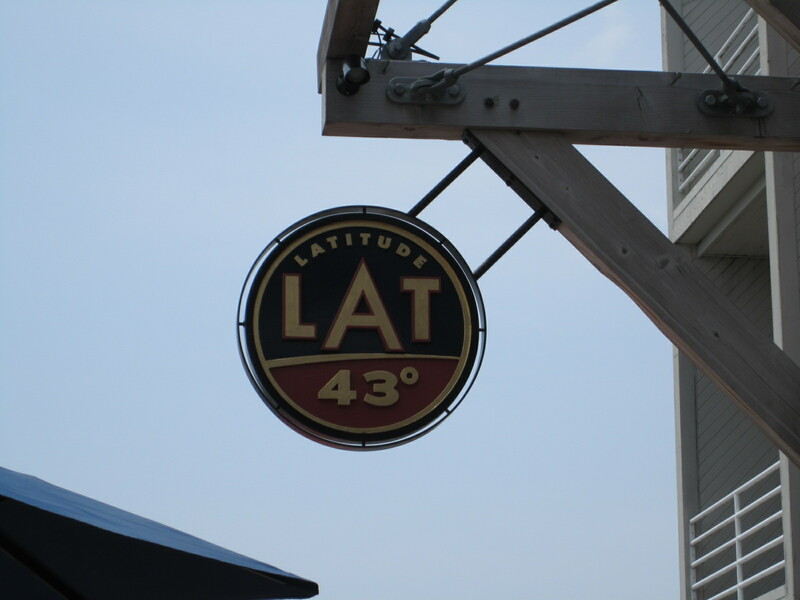 For lunch, we made a stop at this incredible lunch spot. 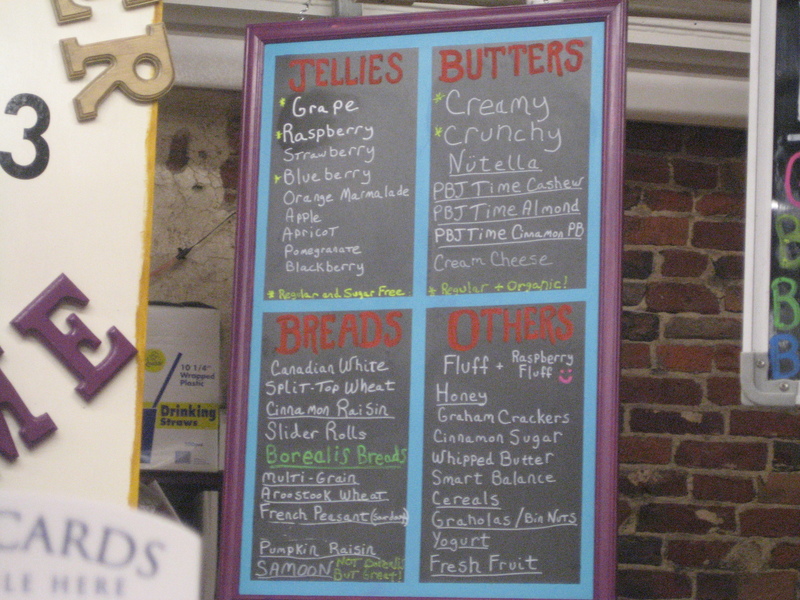 It was incredible to me because it was called Peanut Butter and Jelly Time! I was pretty much in heaven! You could basically get anything that you want. 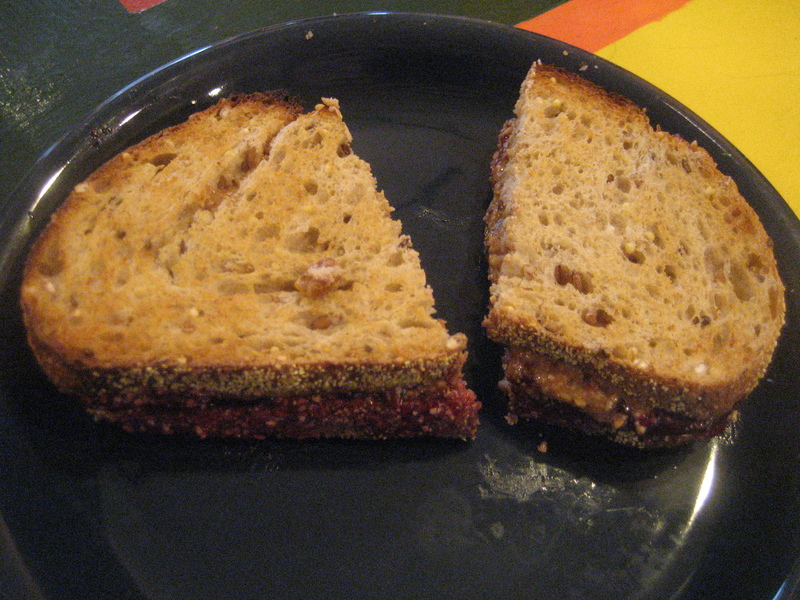 I opted for Raspberry sugar free jam and homemade Cinnamon PB on toasted multi-grain – YUM! 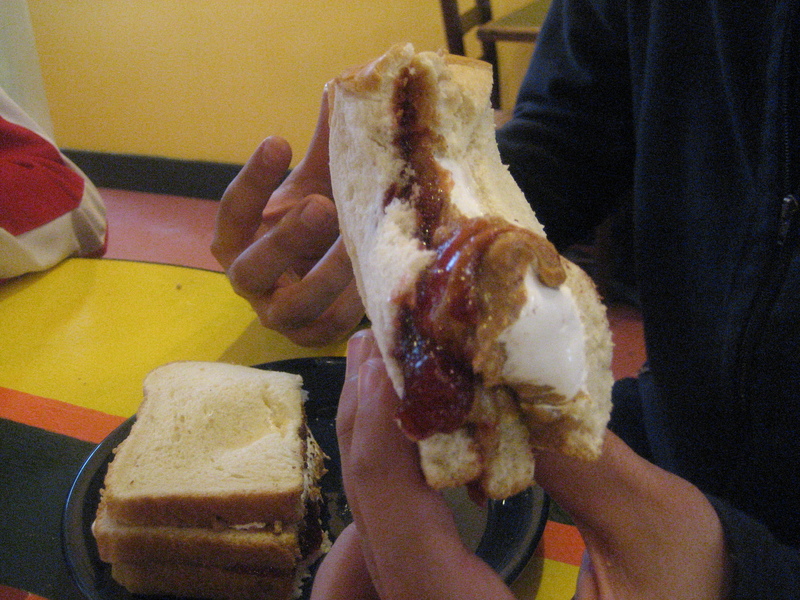 Brant opted for a Triple-Decker with jelly, PB and FLUFF! Check this thing out! 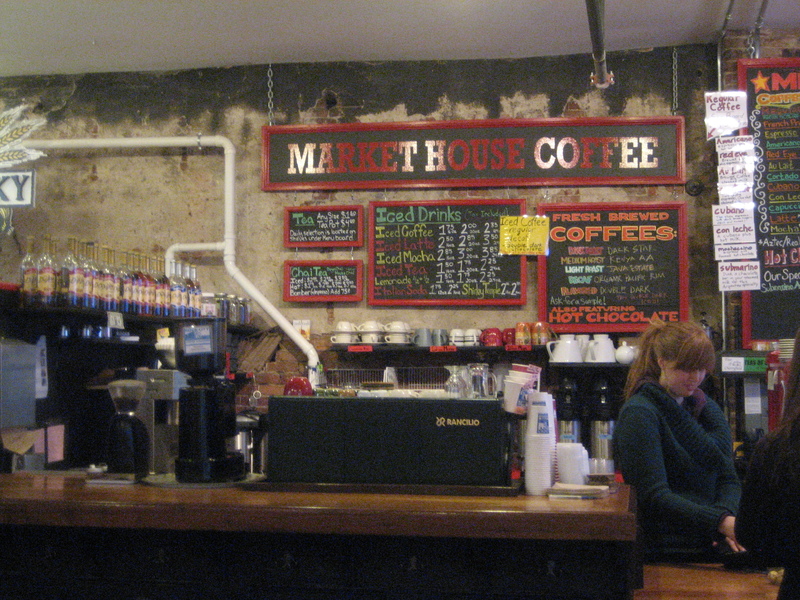 I also ordered a House Chai from the coffee and tea shop next door. 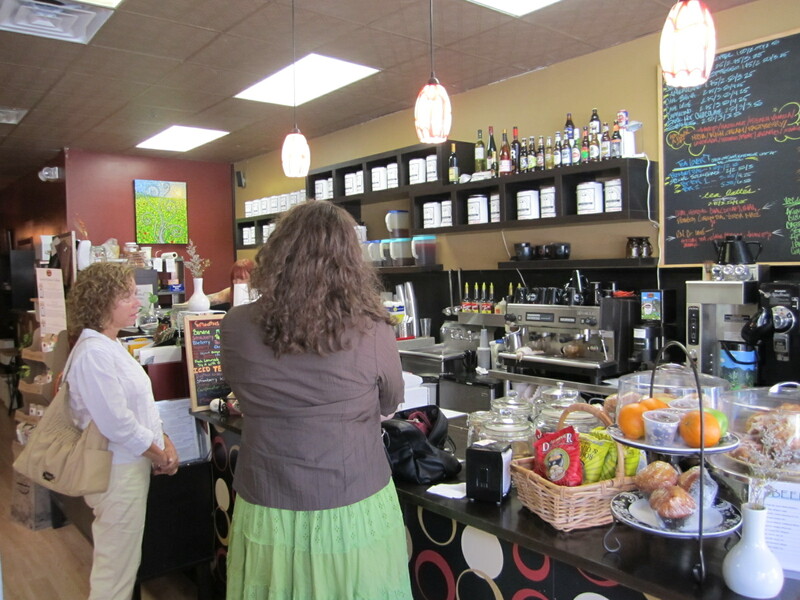 They sweeten their chai with honey and figs. How cool. 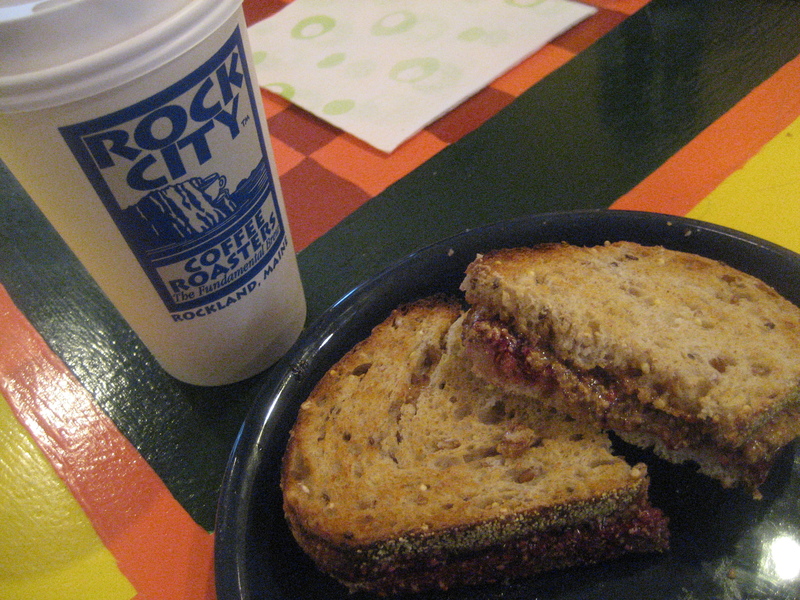 My sandwich and tea were so delicious! 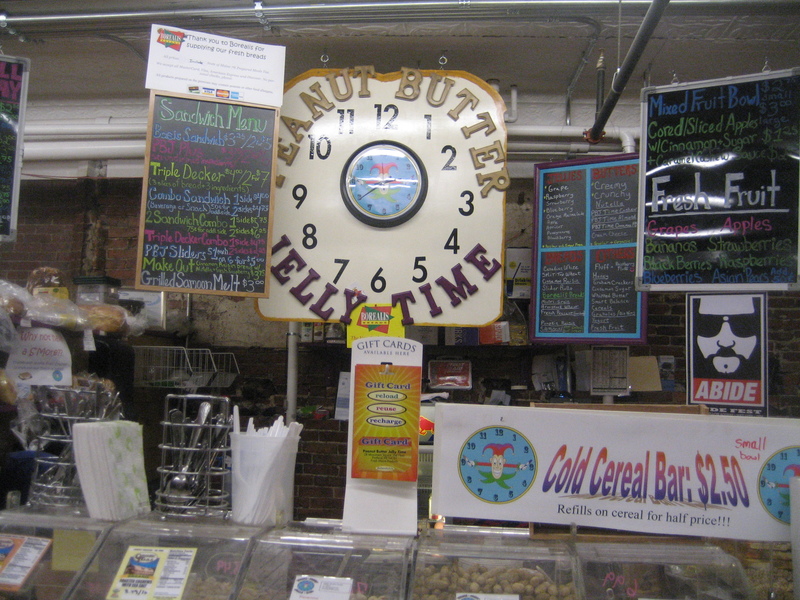 If you are in Portland, definitely check out Portland Market and hit up these 2 hot spots. It was such a gross day, so we just hung out the rest of the afternoon. 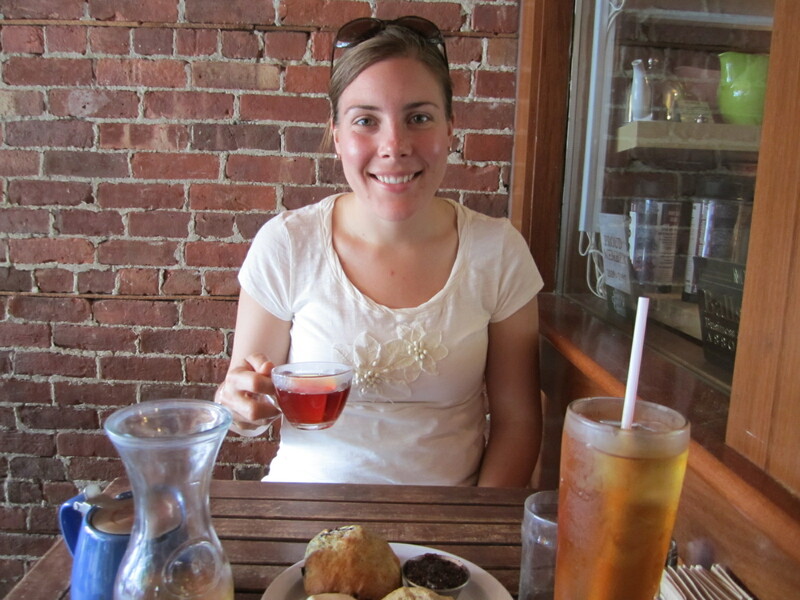 Before we hit the road, we enjoyed some afternoon tea. 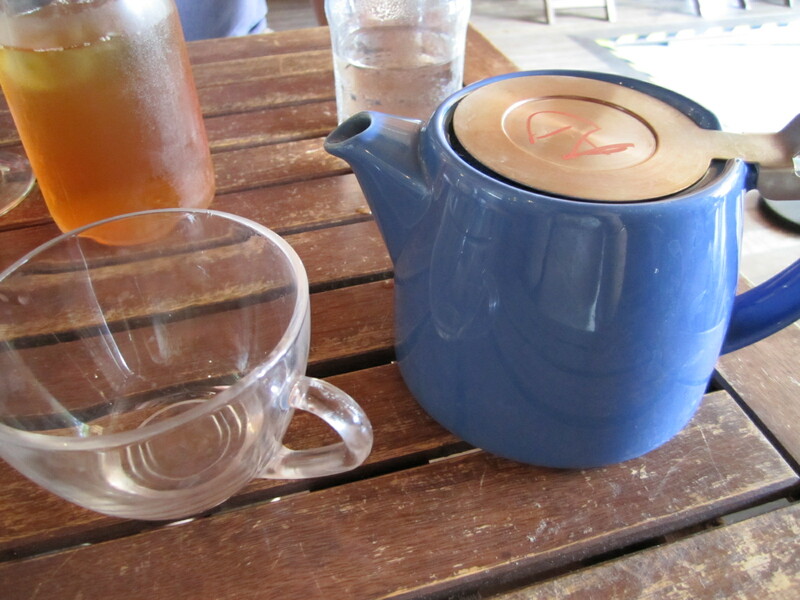 I am in love with Rebecca’s teapot! Then, we ventured out into the storm for our trek home. On our way, we stopped at Whole Foods for some fuel. I filled my take away container and of course, finished it all. In my mix: Kale and avocado salad, red quinoa and black beans, marinated cucumbers, carrot and rice slaw, quinoa patty and guac and a few homemade tortilla chips. I am normally dissapointed when I get take out from Whole Foods because everything always looks so much better than it tastes! But, tonight was different. I loved everything. 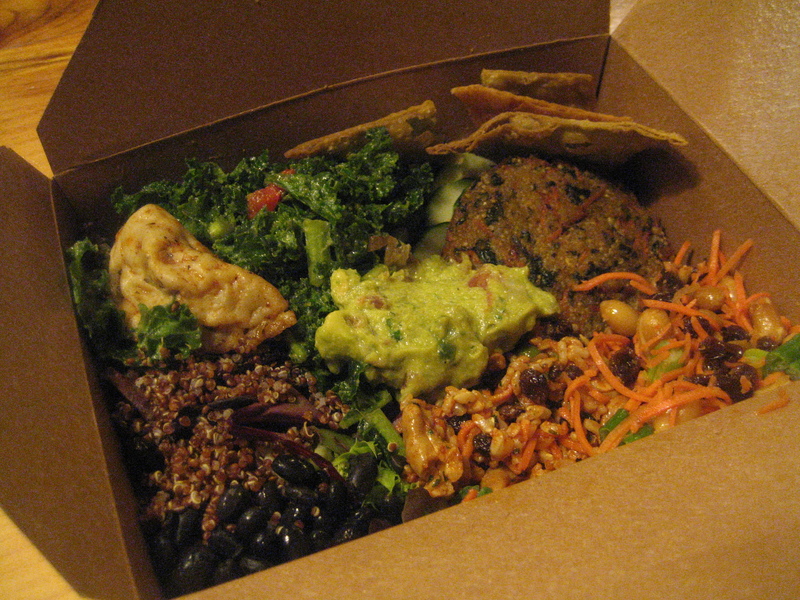 The highlight was the Kale & Avocado salad – I will definitely be recreating this. 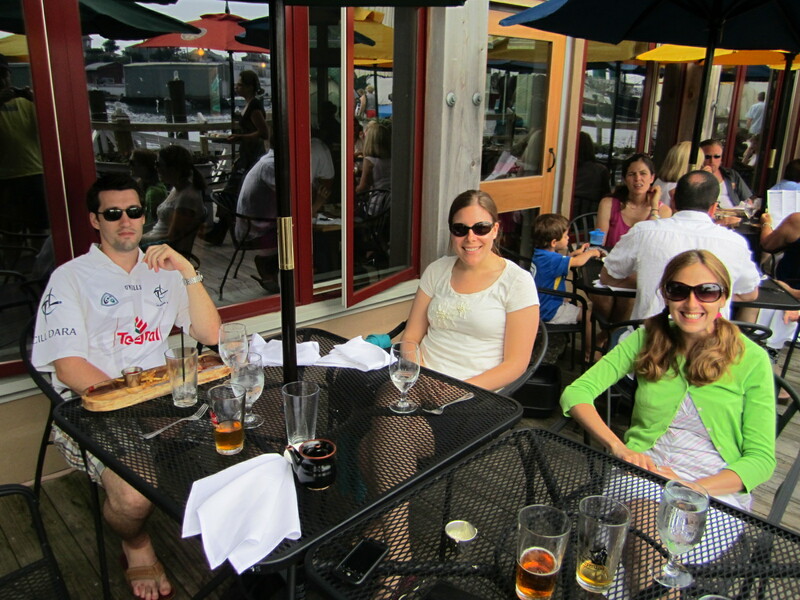 We had such a wonderful weekend with friends! 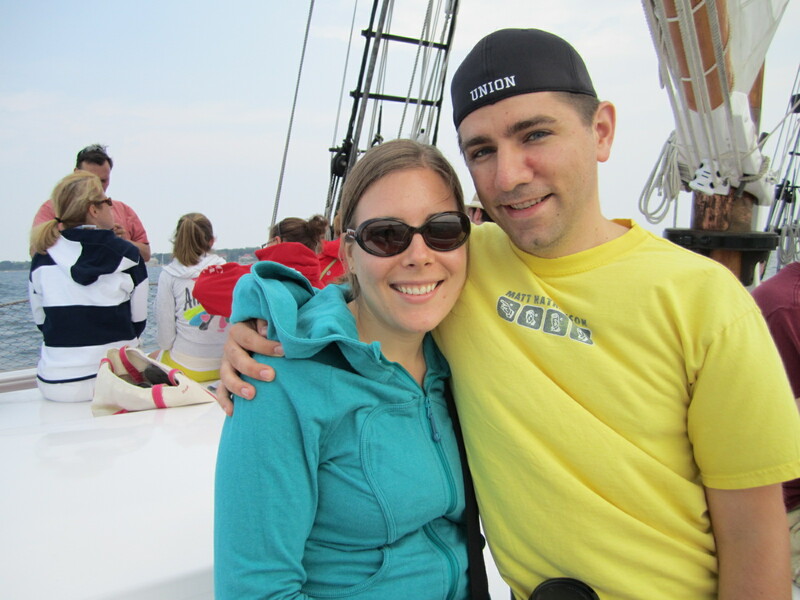 Thank you Rebecca and Steve for being such tremendous hosts! I changed things up today with my Wheatberry bowl for breakfast! 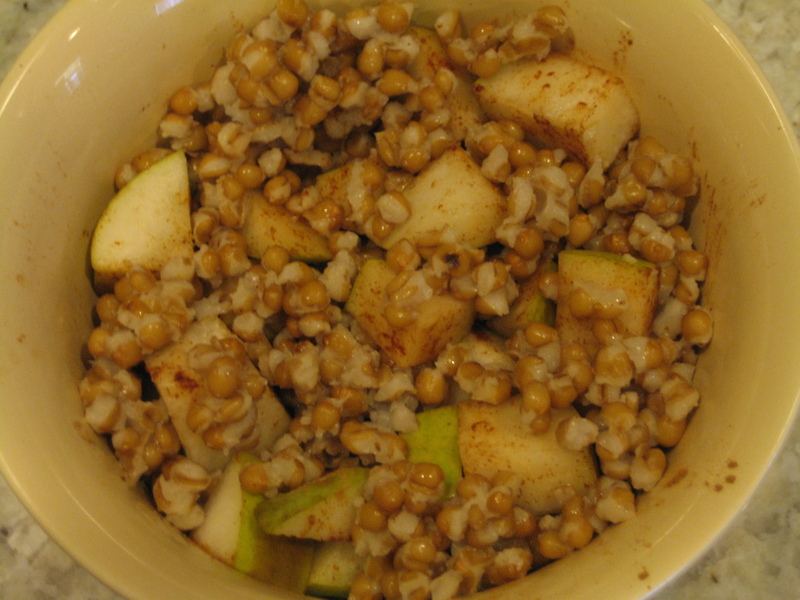 Instead of the bowl being made up of mostly wheatberries, I wanted a lighter mix. 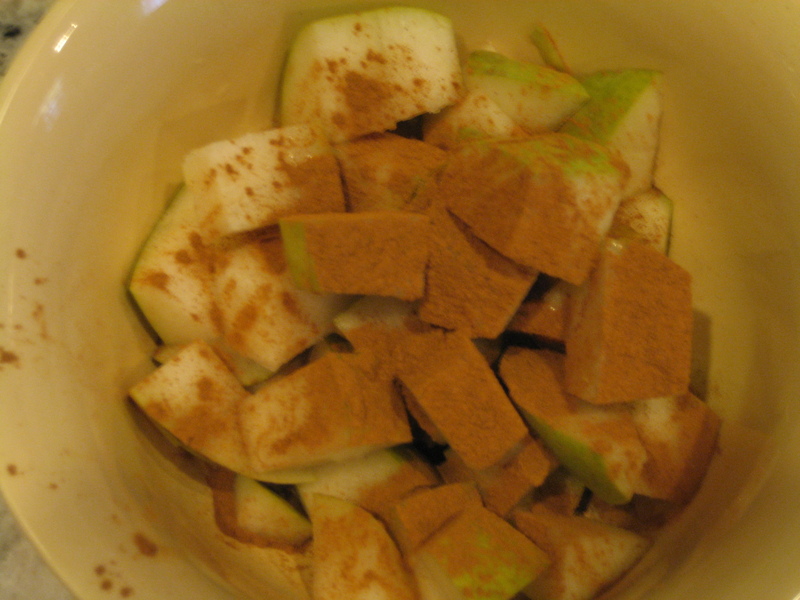 So, I cut up a pear, drizzled it with a little agave and cinnamon, and popped it in the mocrowave for 45 seconds. Then, I added about 1/3 cup of pre-cooked wheatberries to the bowl and put it back in the microwave for 30 seconds, just until warmed. 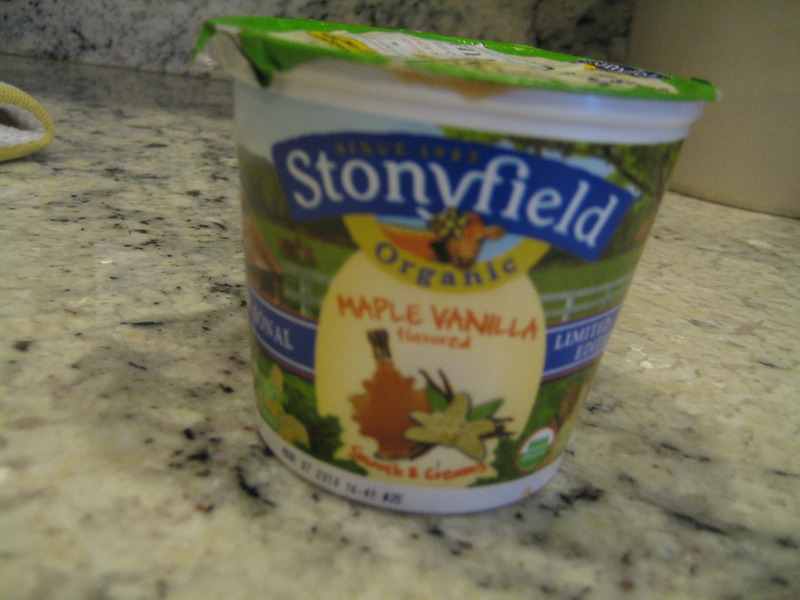 Next came some Stonyfield Maple Vanilla yogurt, which I picked up this weekend. 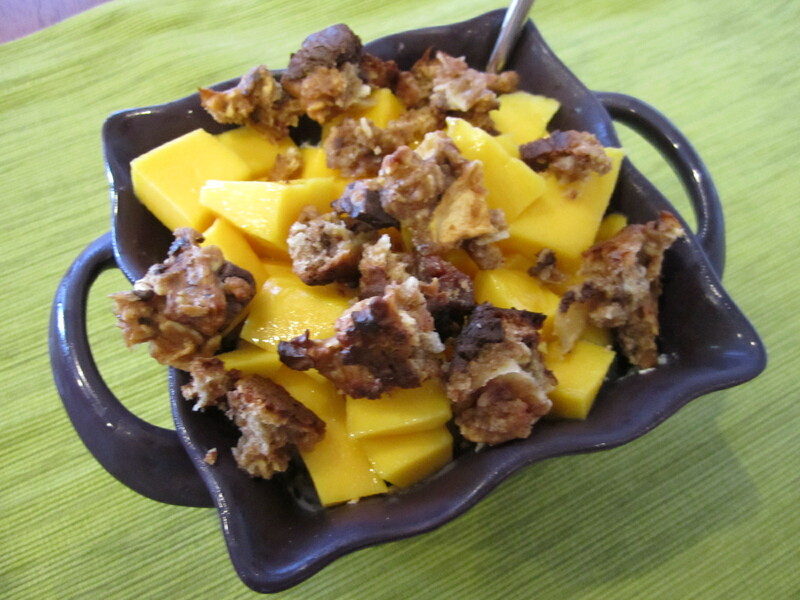 It smells so mapley and delicious – and tasted that way too! 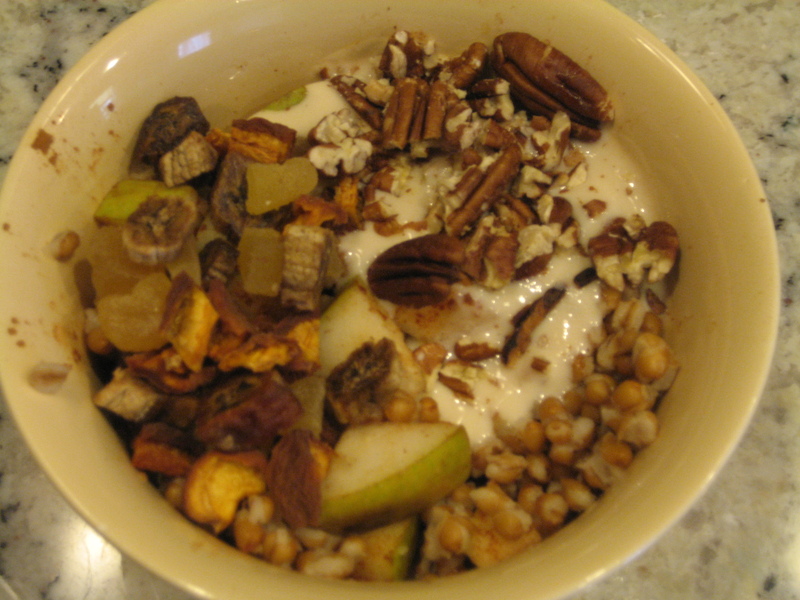 I ended up dumping this entire yogurt onto my pears and wheatberries to make it more of a yogurt bowl. 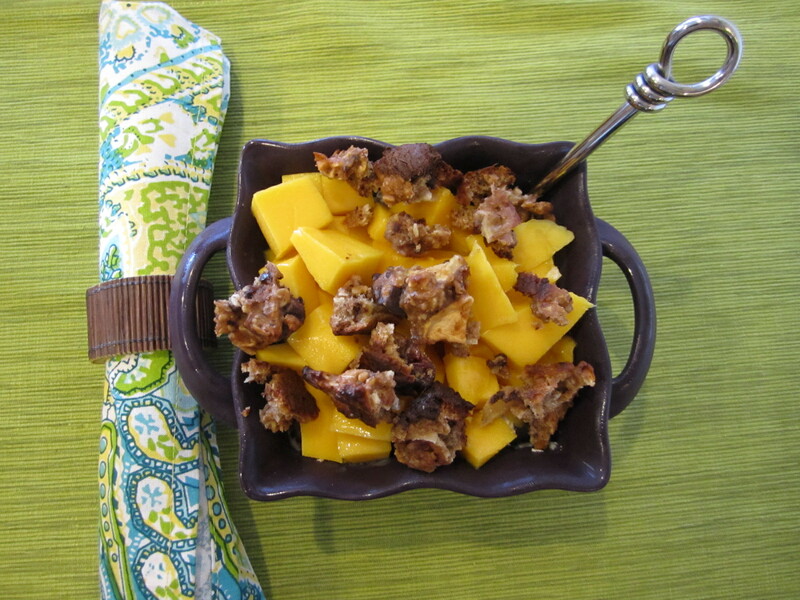 Then, topped it with some dried fruit and toasted pecans. Mmmm…I liked this better than the previous 2 mornings! I love the heated up pear. 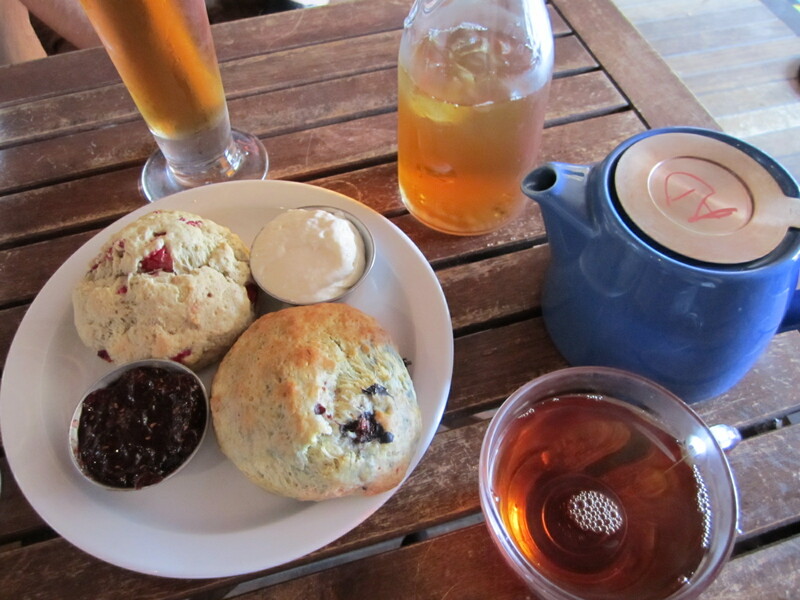 I also had some tea with breakfast. 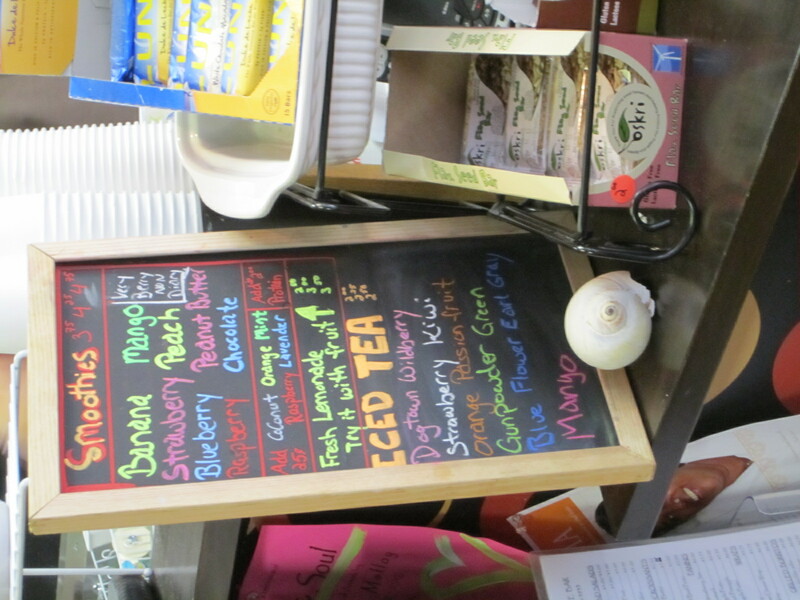 You all know that I love my loose leaf tea, and much prefer it over teabags due to the flavor! 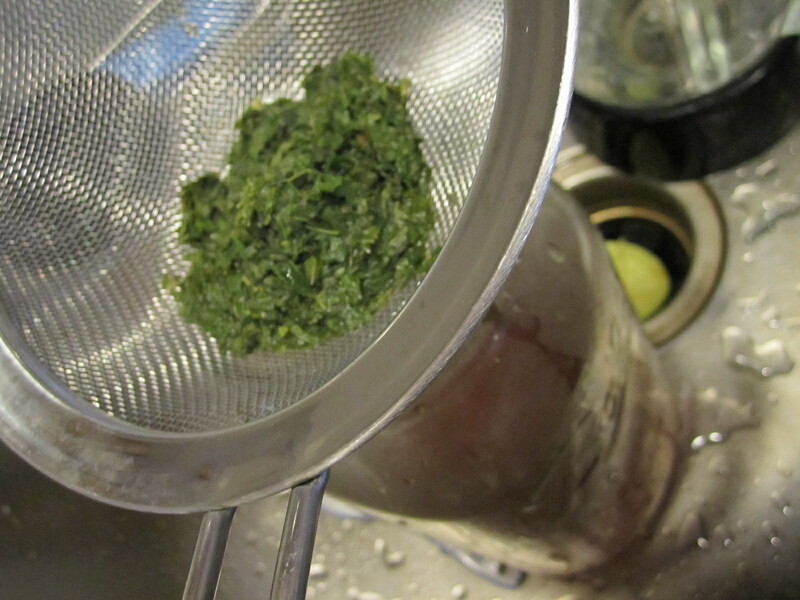 In case you were wondering how I brew my loose leaf tea, I thought I would take some photos of my strainer. I have a tea strainer that I use to brew the tea before placing it into my mug. 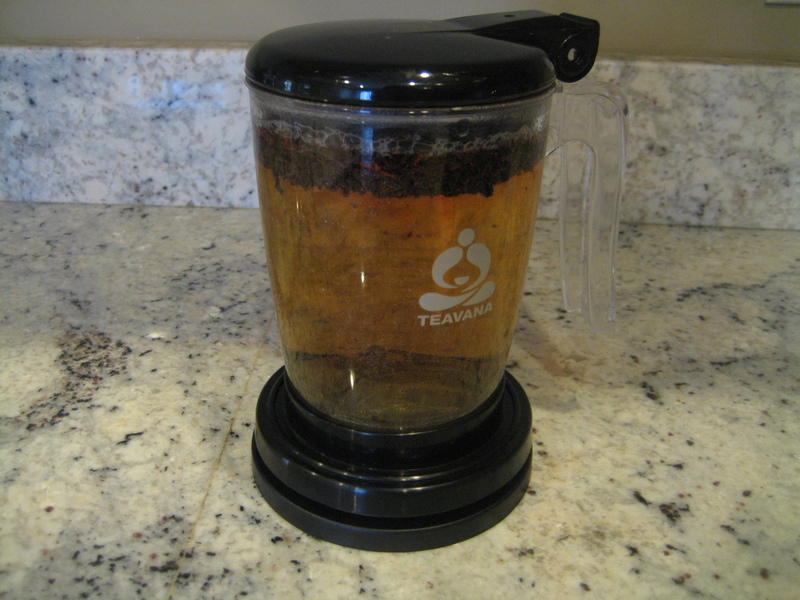 I purchased mine at Teavana awhile ago, but numerous tea shops sell them now! 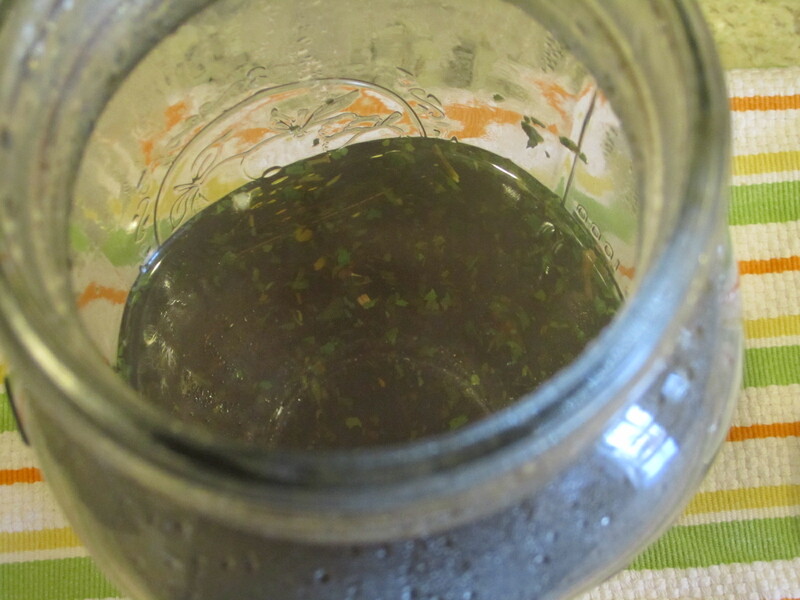 You scoop the tea leaves into the strainer, i use 2 teaspoons since this is a 16 ounce container, and pour the hot water over the leaves, then close the lid and let steep for the necessary amount of time. Once time is up, you just place the whole strainer on top of a mug and let it drain in! 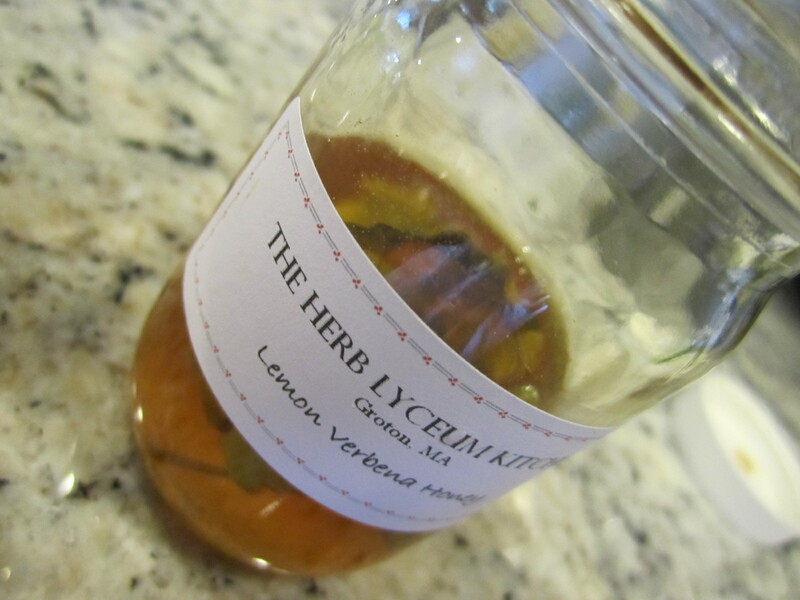 It is such an easy way to brew loose leaf tea! When the bottom is pushed on, the tea flows out, but it closes when it is just sitting on a table. 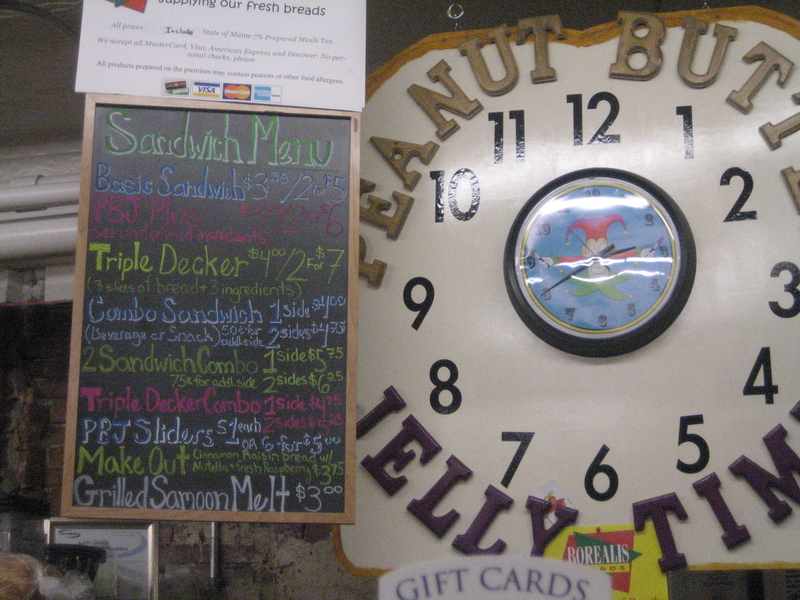 The day flew by so quickly, that I didn’t even have time to stop for my mid-morning snack or lunch until 3pm!! So unlike me! 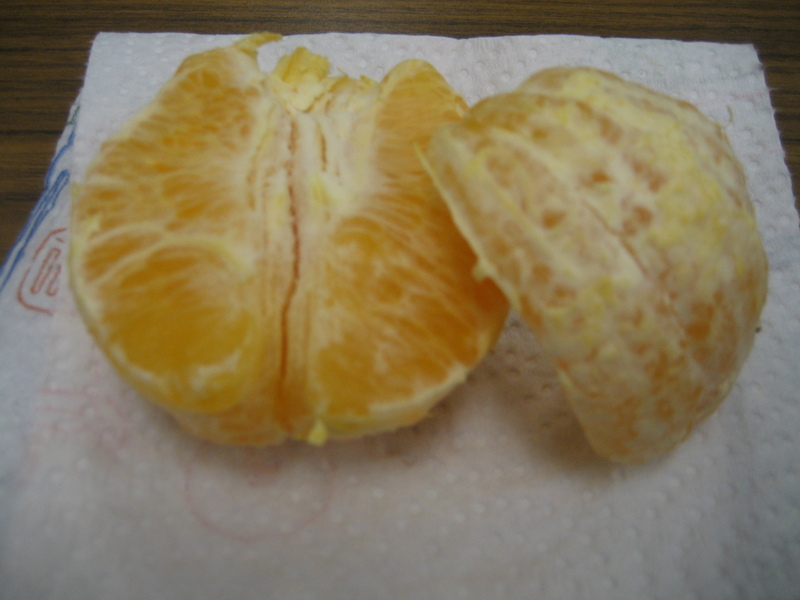 I was starving once 2:30 rolled around, so I scarfed down an orange and then heated up by lunch to eat around 3. Lunch was more leftover stuffing from the baked acorn squash on a bed of spinach for some greens! I was feeling like I needed some greens in my life, as not too many were consumed yesterday. I’m planning to hit up the gym for a run and some weights after work, so hopefully this super late lunch will be digested by then! 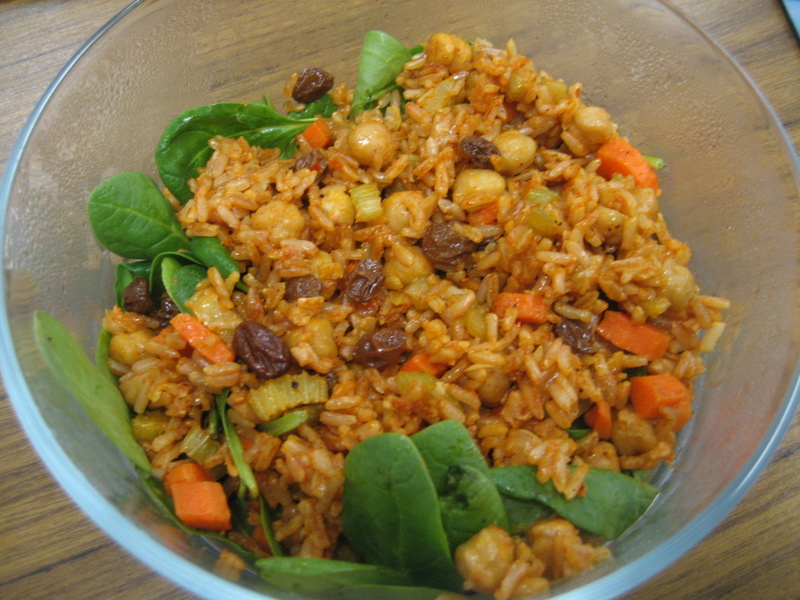 Lots of carbs in the rice, so it should be a good pre-workout meal. 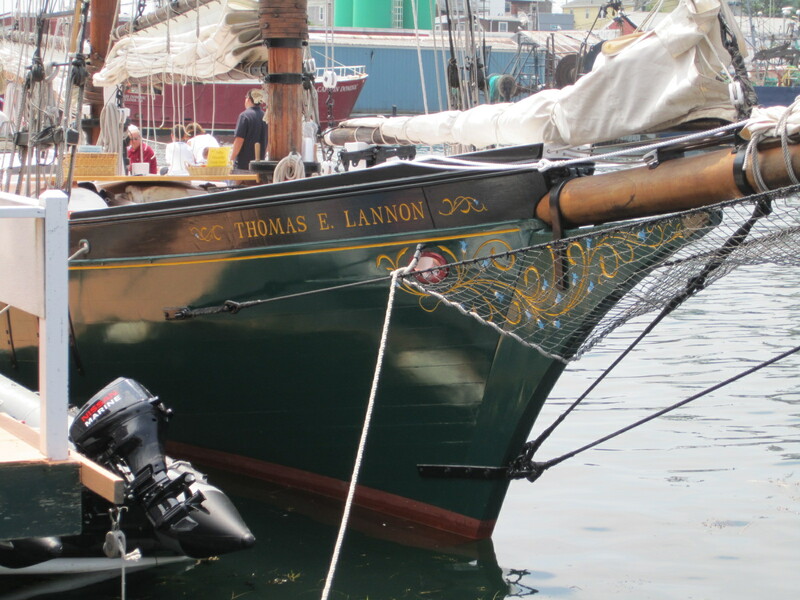 Work has been extremely busy lately (which is great in this economy! ), however I find myself becoming more and more anxious about my life before and after work! I try to get up early to work out, but my bedtime has become later and later which does not allow for an early wake up routine! So, I have been trying to workout after work, which I hate! While at the gym, I just constantly think about everything I need to do when I get home, which defeats the purpose of my anxiety reducing workout. 🙂 I know that I am stressed about trivial things, but I still needed to find a way to make myself less anxious. I searched around the internet a bit and came across a post on Lil Veggie Patch about Gretchen Rubin’s Book, The Happiness Project. It just so happens that she has a blog where she gives tips and yesterday’s tip was 20 Easy Tips For Lowering Your Daily Stress! What perfect timing. I made my own list from Gretchen’s list and added a few of my own. 1. Wake up 20 minutes earlier, so that you are not rushing. 2. Always make your bed, it just makes you feel better and more organized when you walk into your bedroom. 3. Start off your day with exercise. 4. 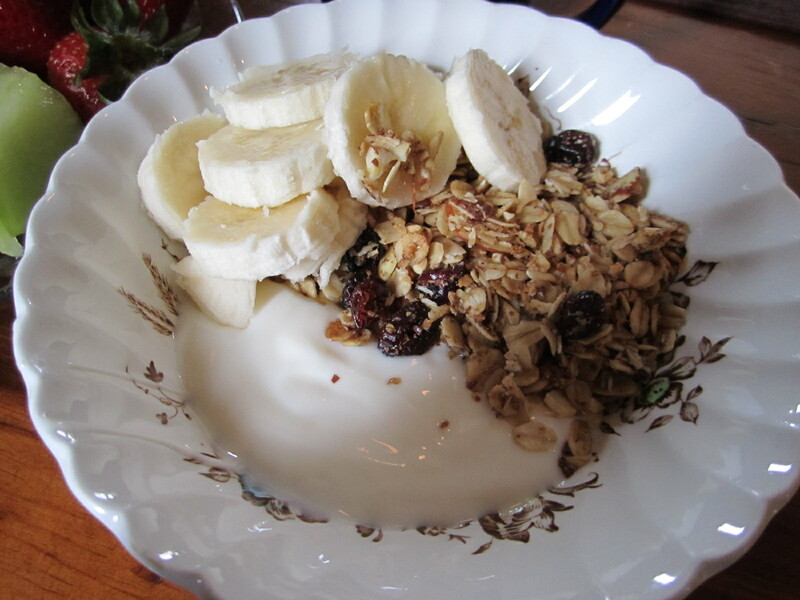 Eat a healthy breakfast to start your day off right! 5. 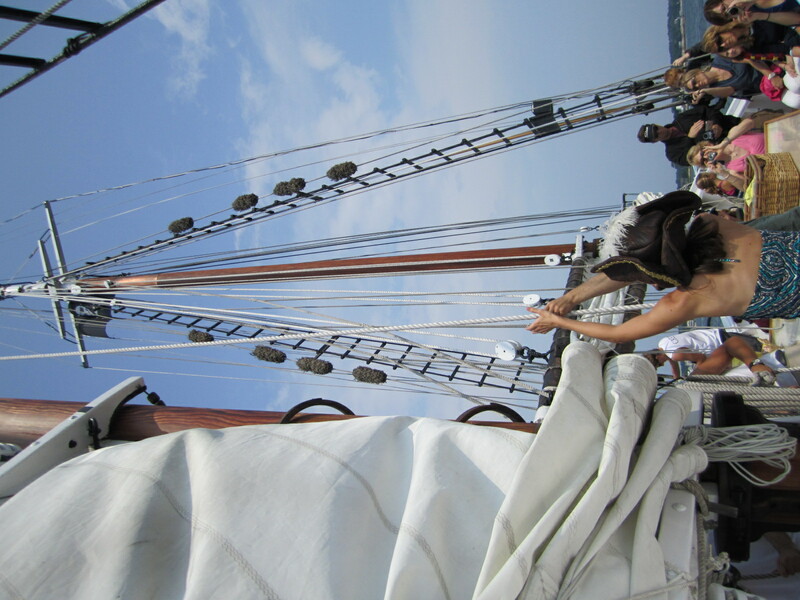 Spend 15 minutes a day picking up, so that you wake up to a clean house. 6. Laugh once a day. 7. Pack your lunch the night before. 8. Read before bed in order to clear your head of the daily grind. 9. Go to bed 30 minutes earlier. 10. If you still find yourself getting stressed, then stop for a minute, walk away and take a long deep breath! These might be small things to do, but they really help me! Something as simple as making my bed can make me feel 100% better when I get home from work. I always spend a few minutes before bed tiding up because it makes me feel better in the morning to wake up to a clean house. What do you do to rid yourself of stress?